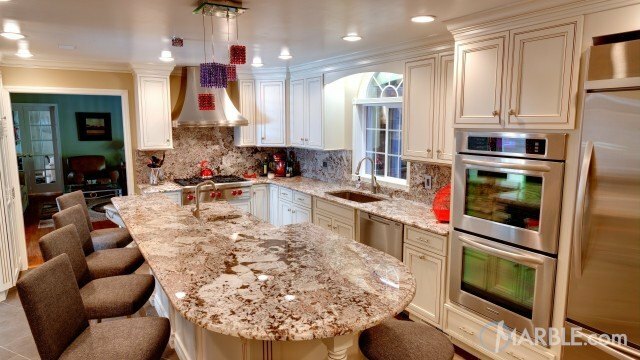 Beige, pink and red veins transport you to another land when you look at the Shivakashi Pink granite in this kitchen. 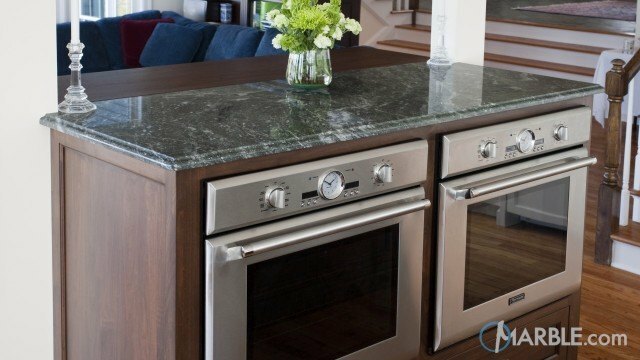 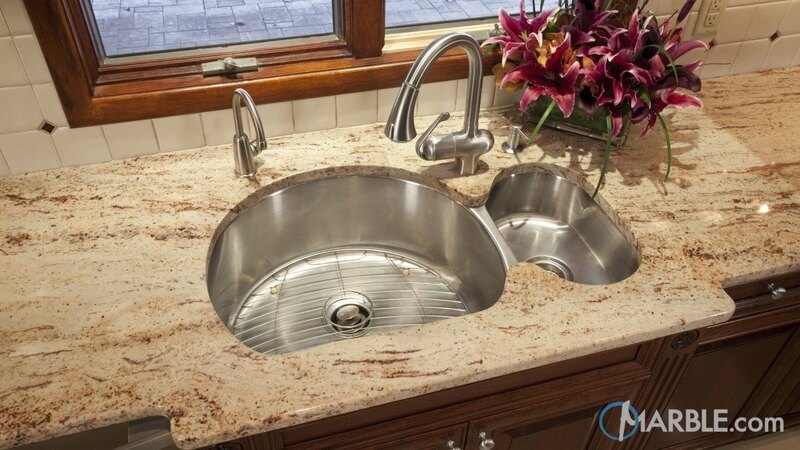 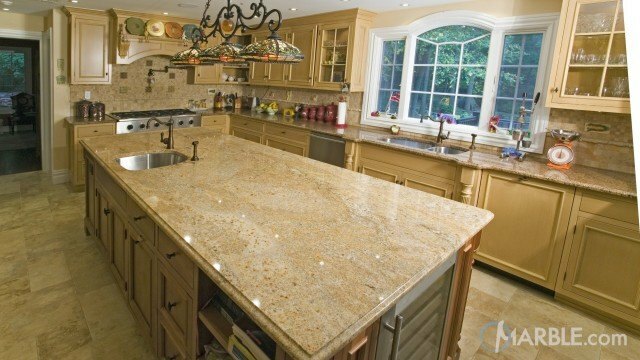 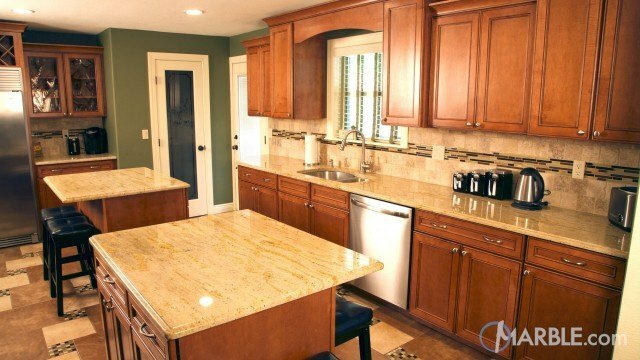 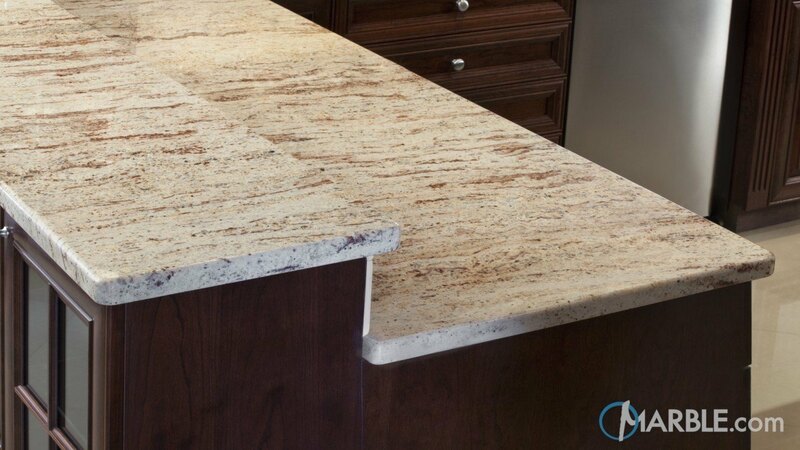 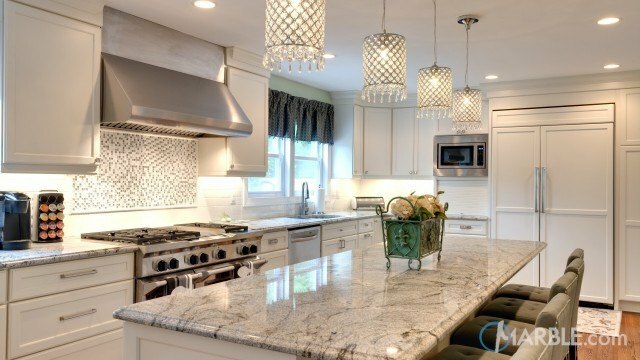 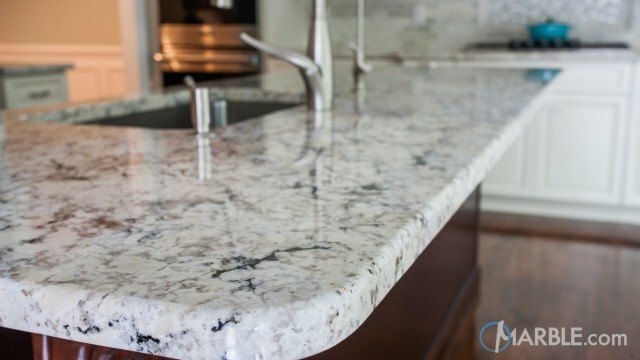 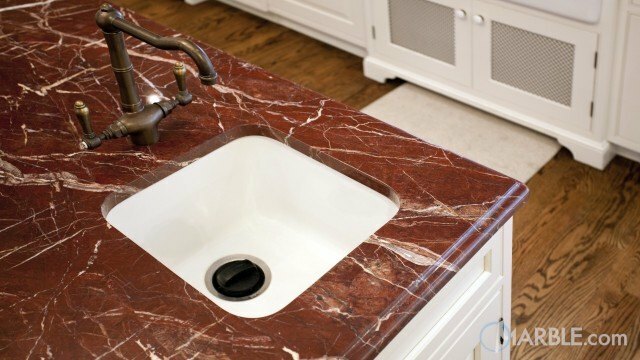 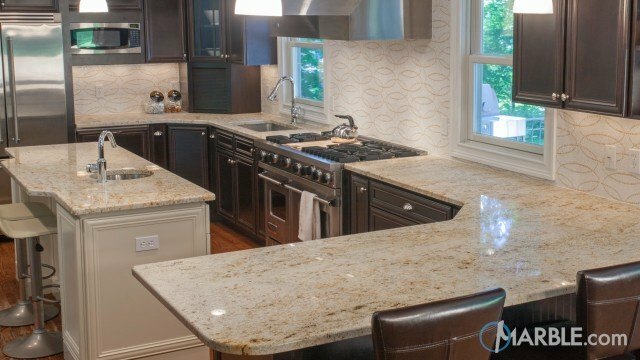 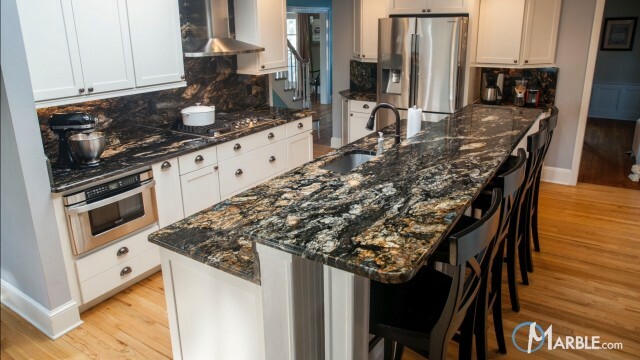 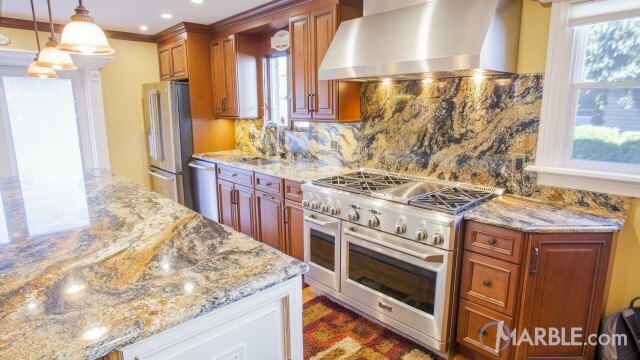 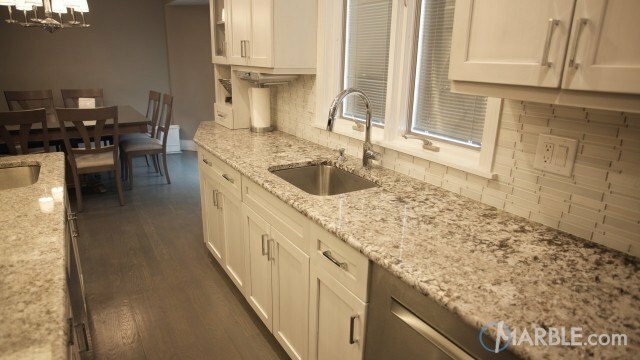 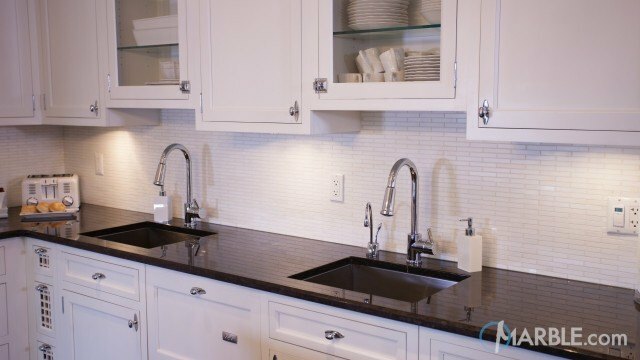 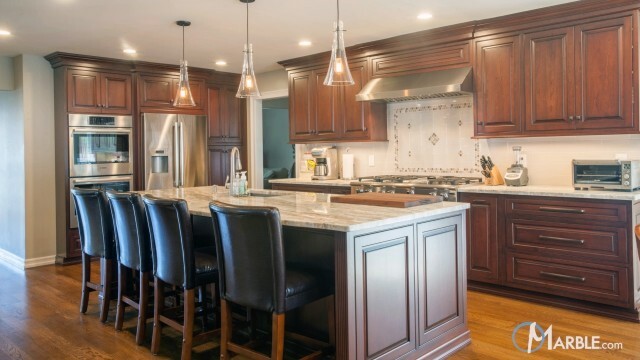 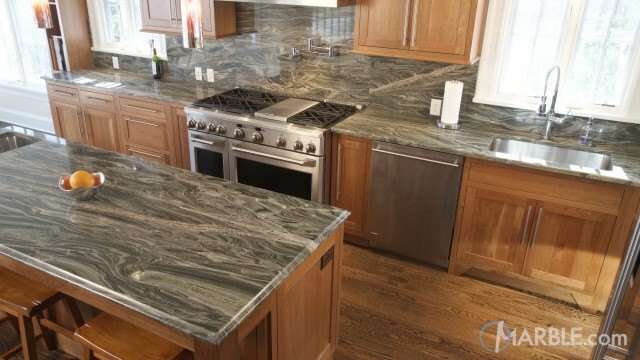 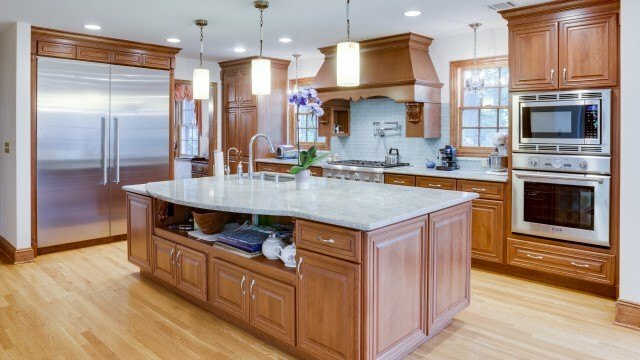 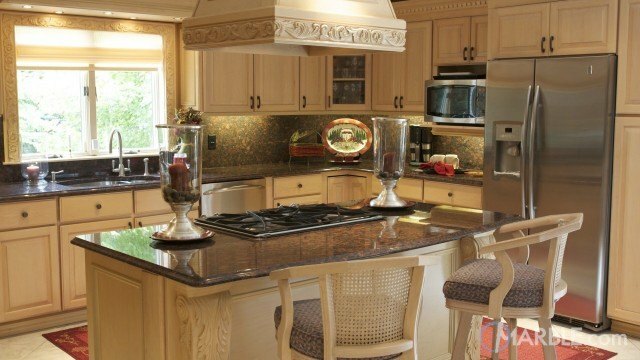 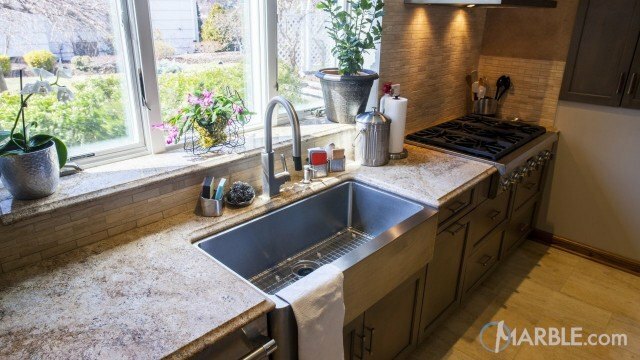 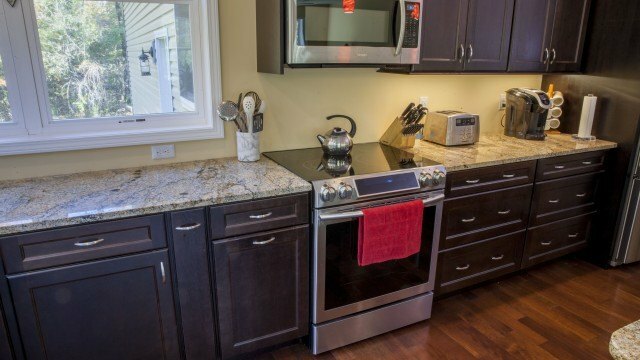 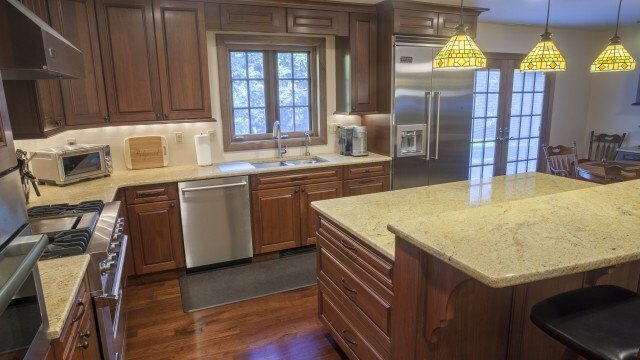 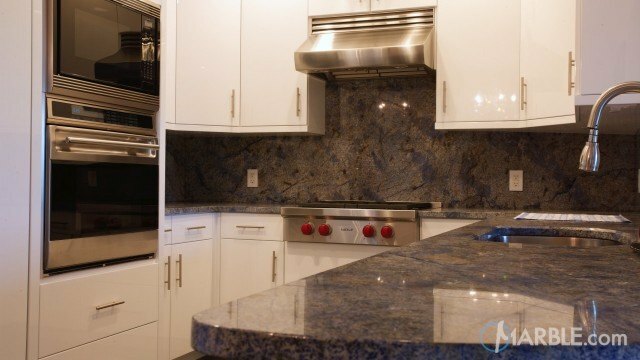 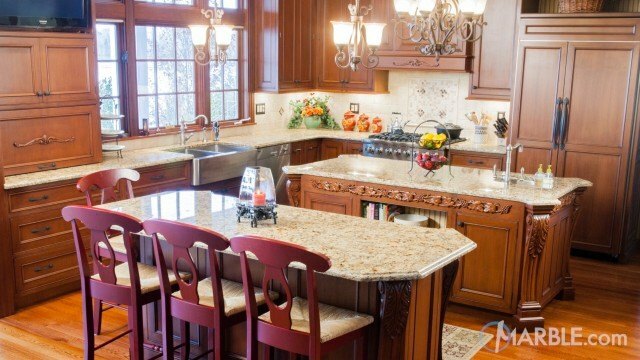 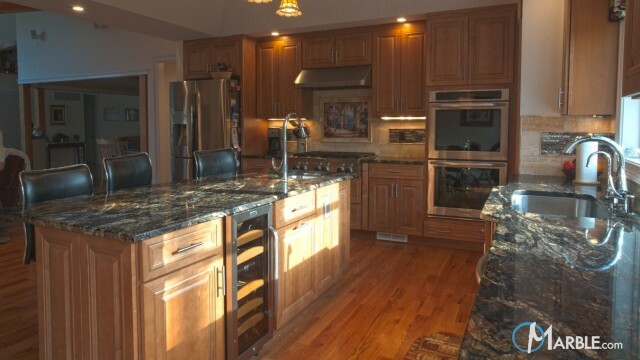 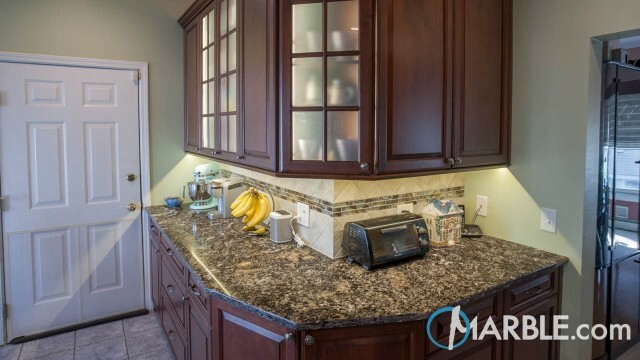 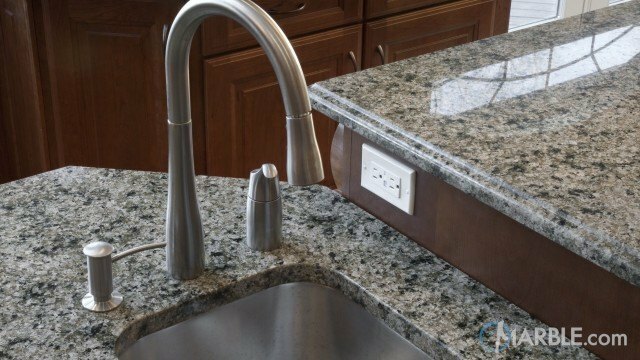 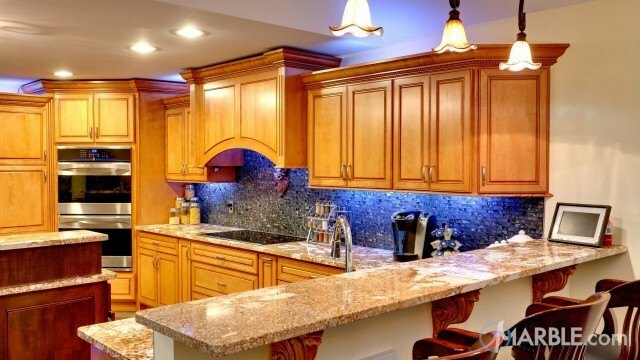 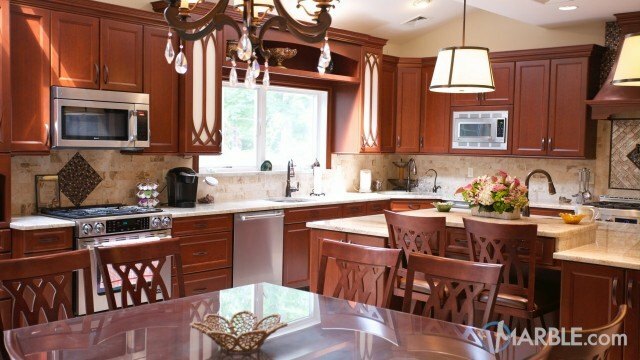 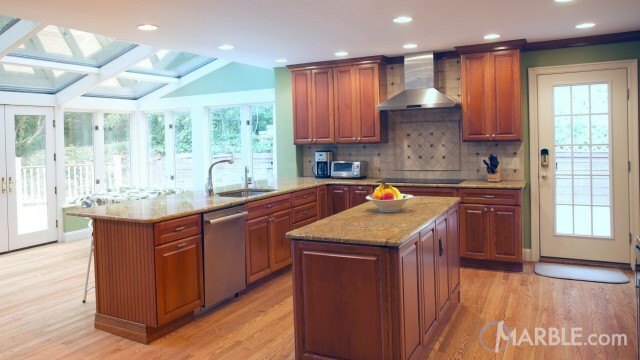 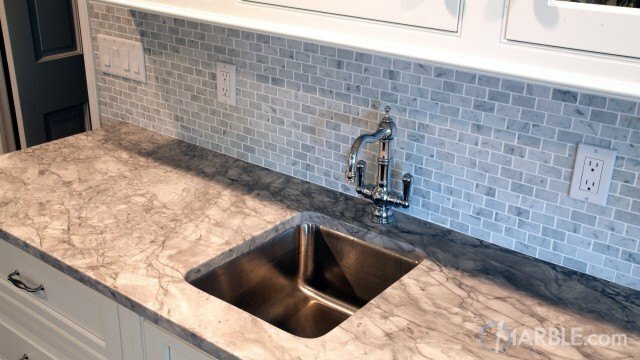 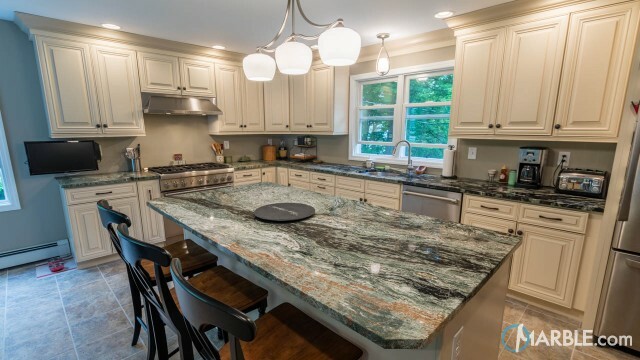 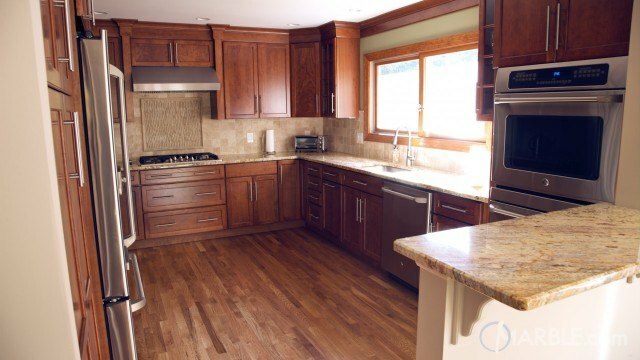 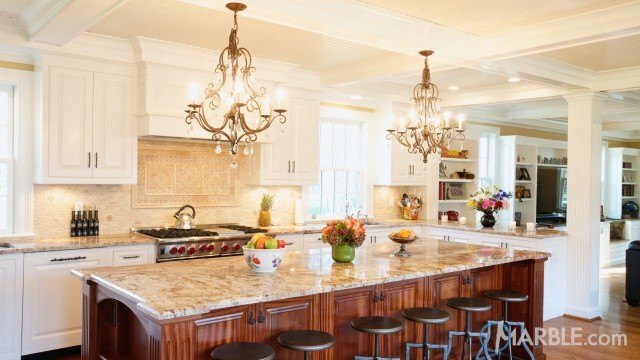 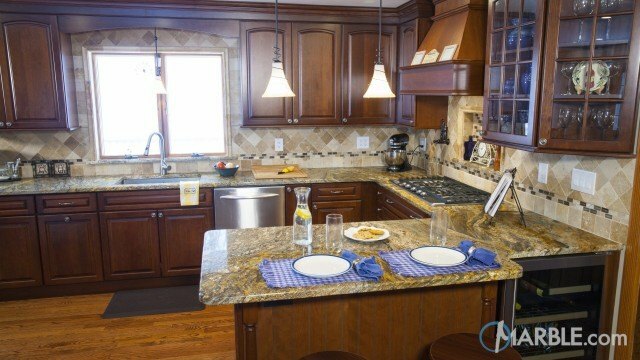 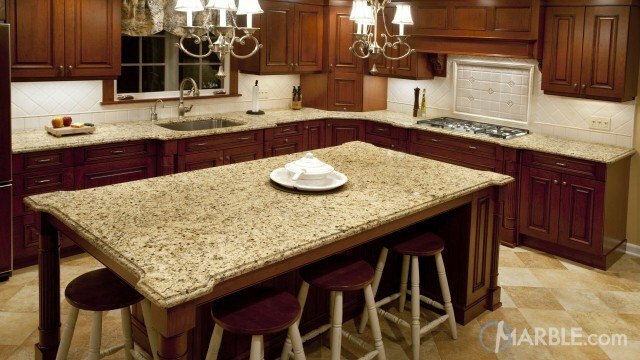 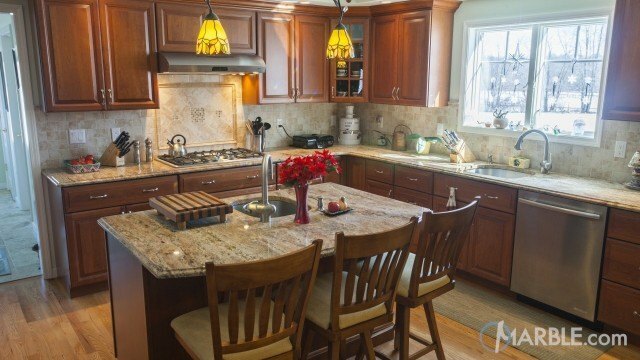 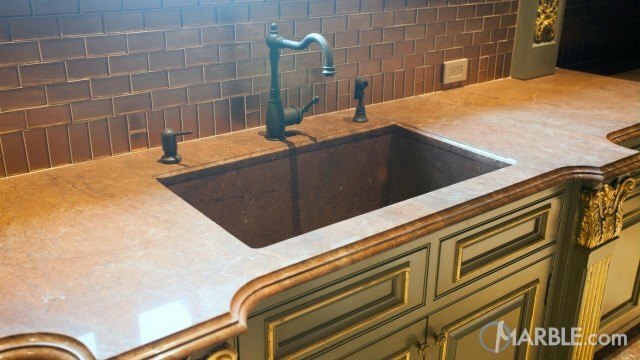 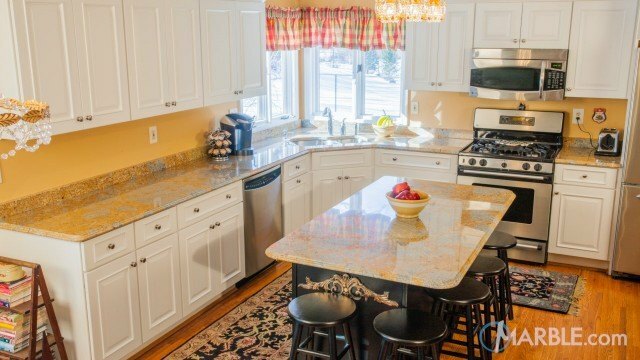 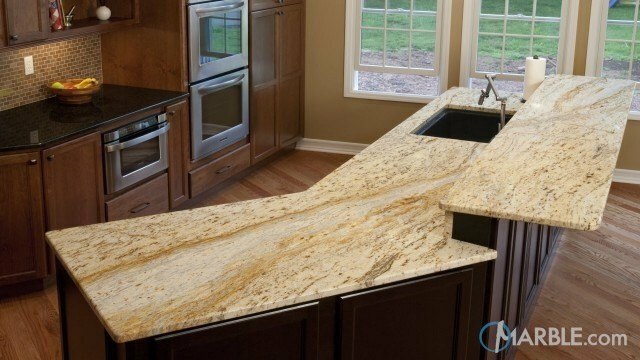 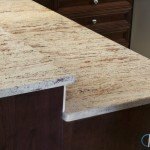 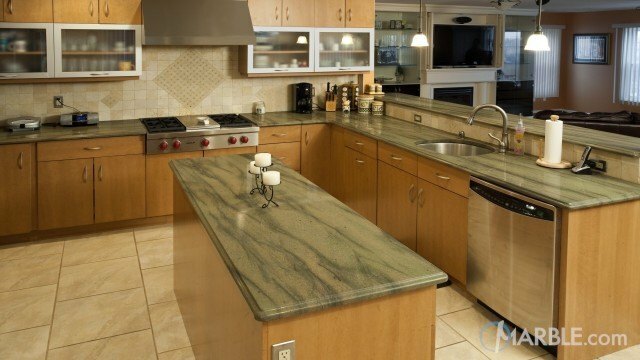 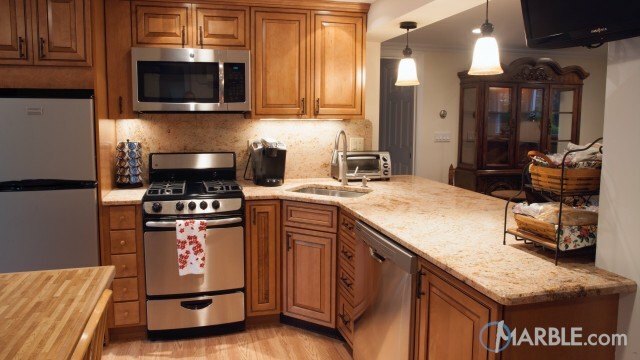 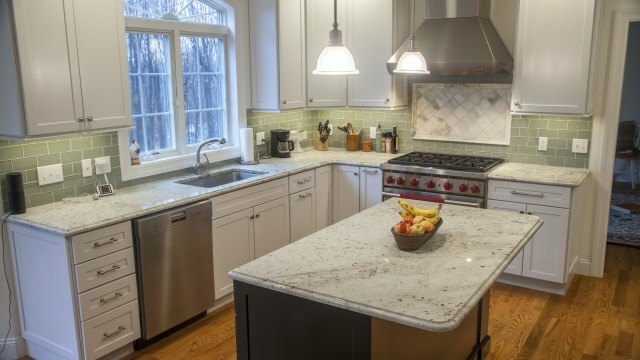 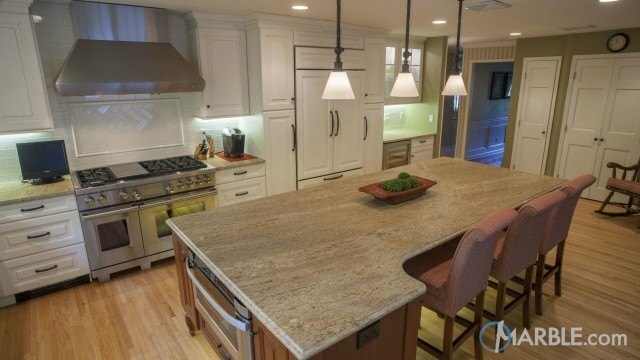 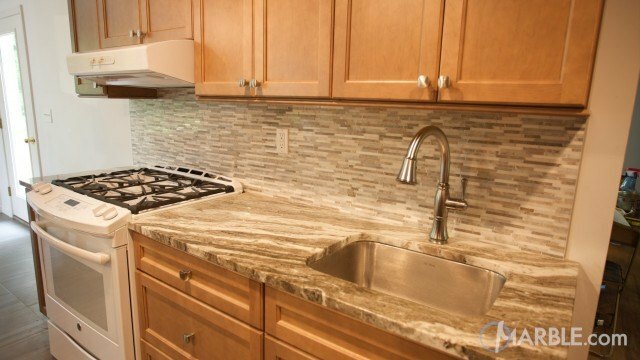 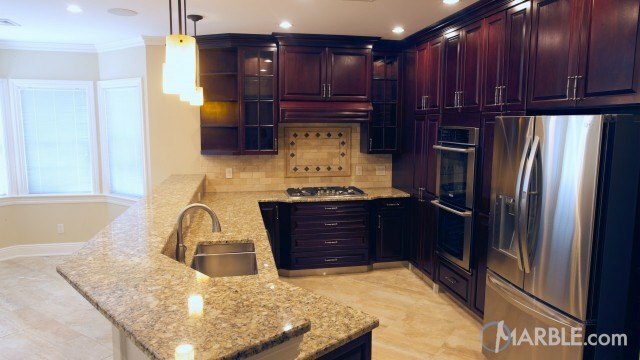 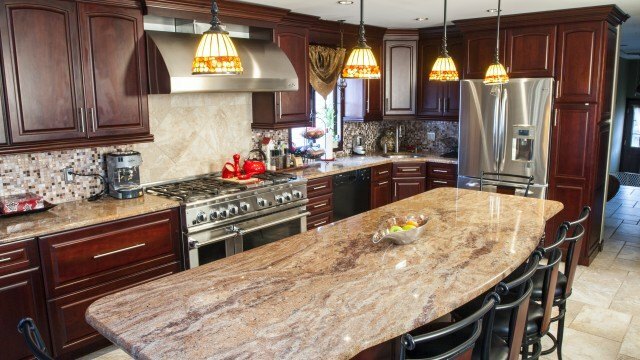 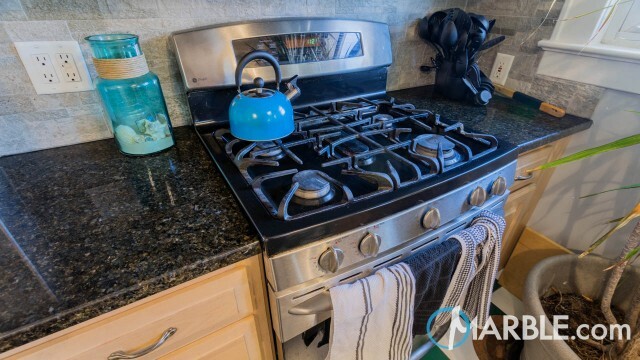 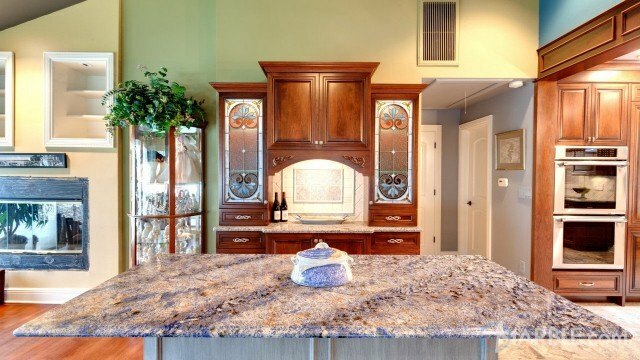 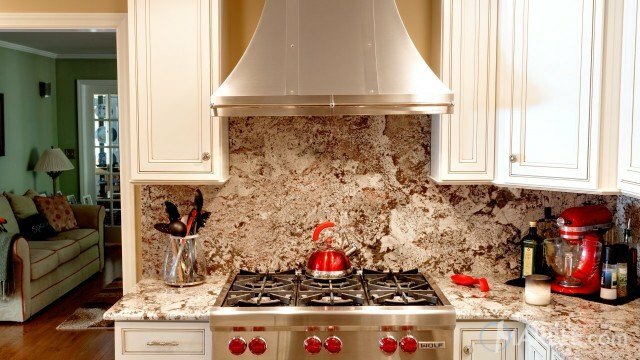 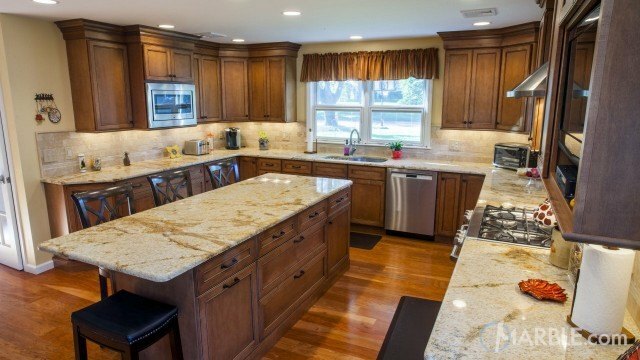 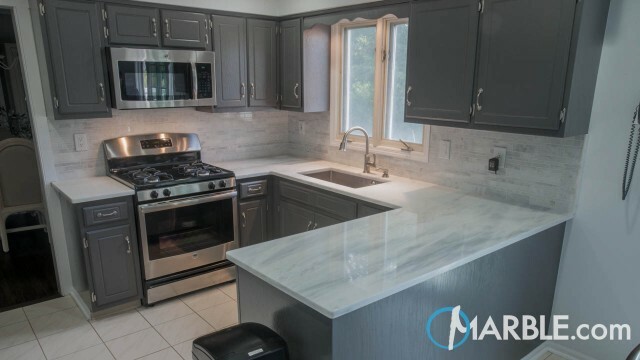 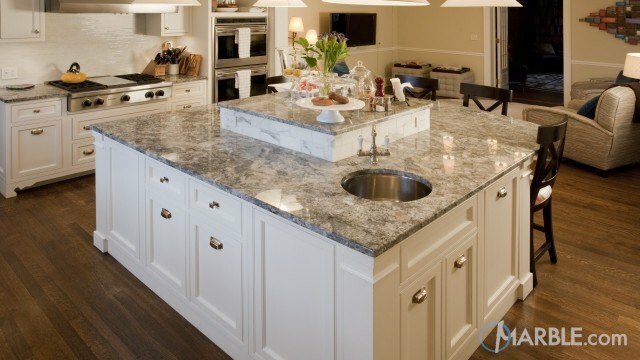 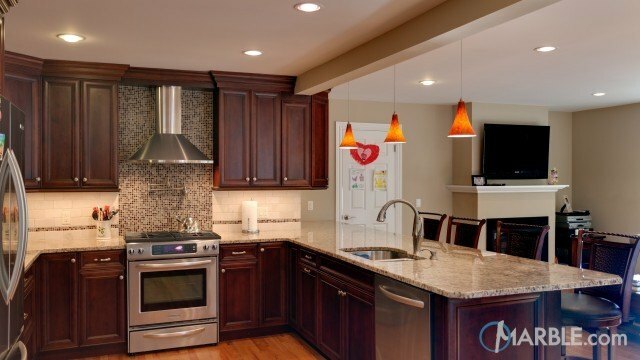 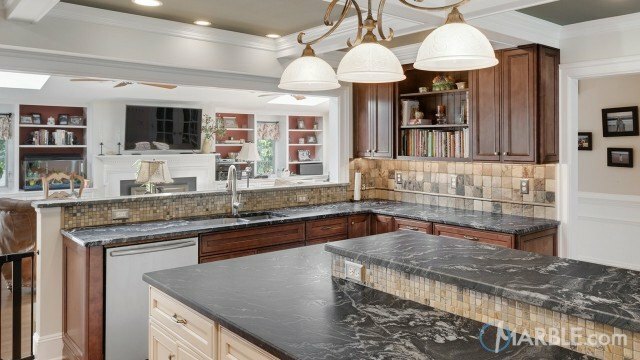 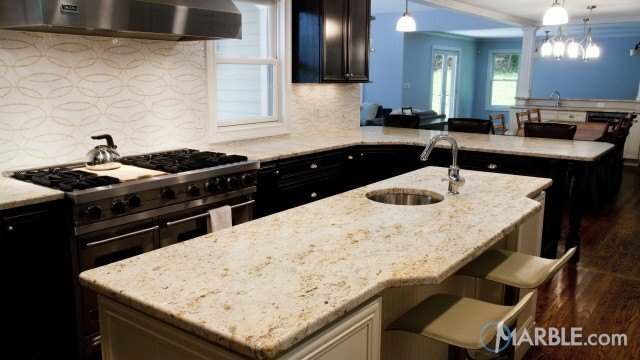 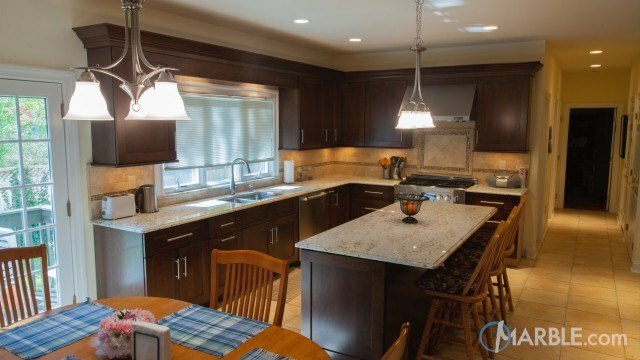 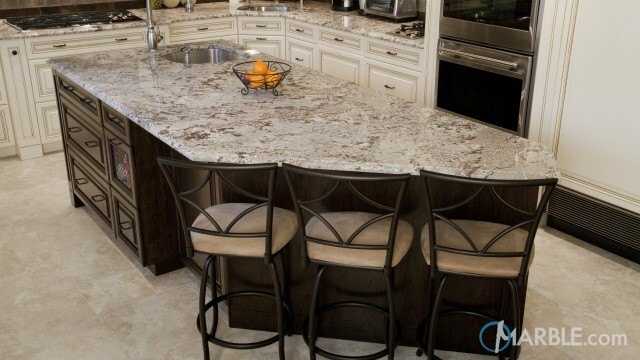 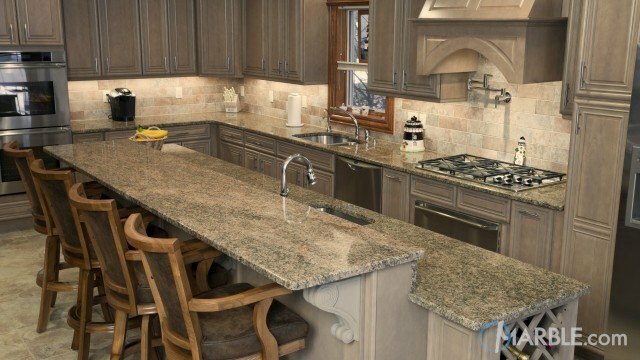 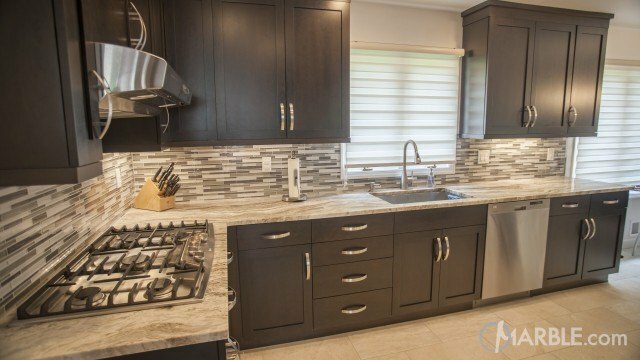 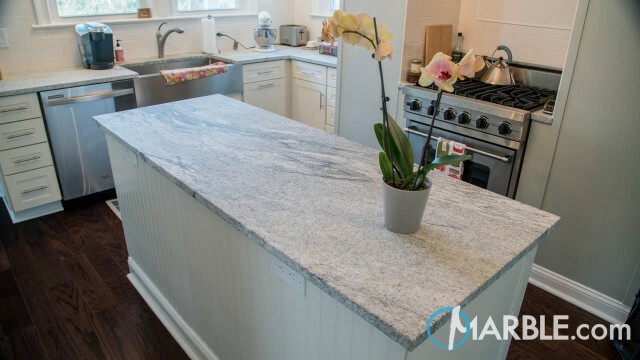 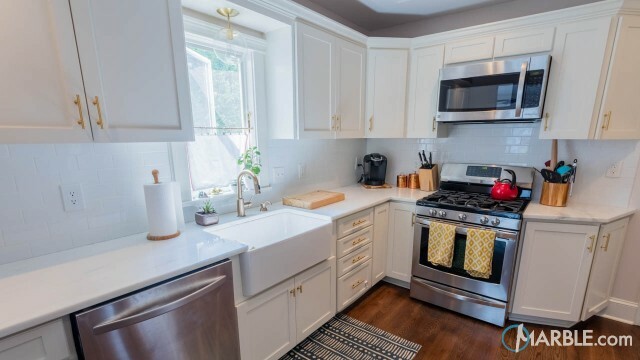 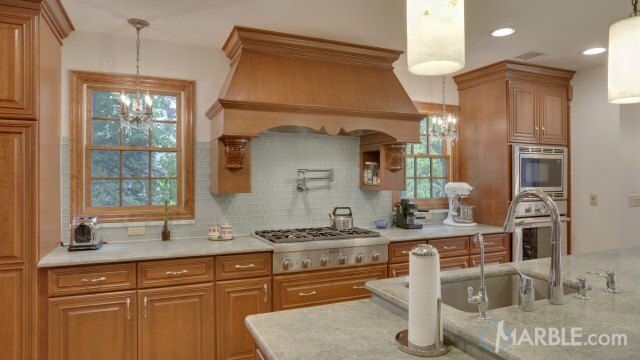 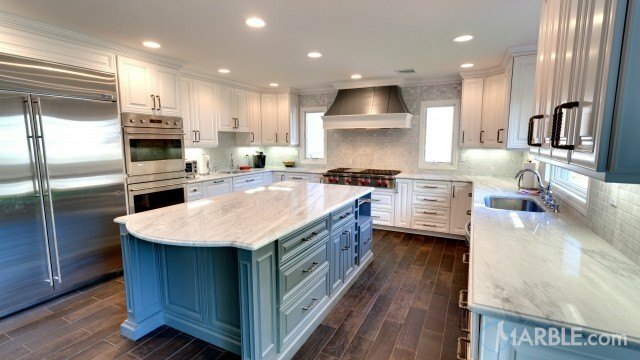 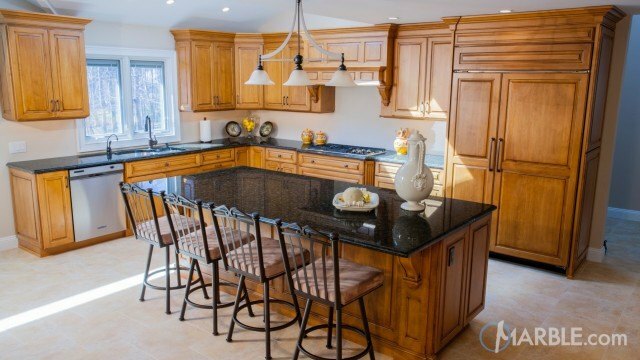 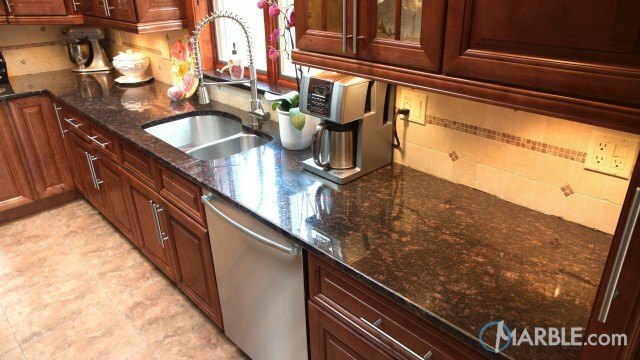 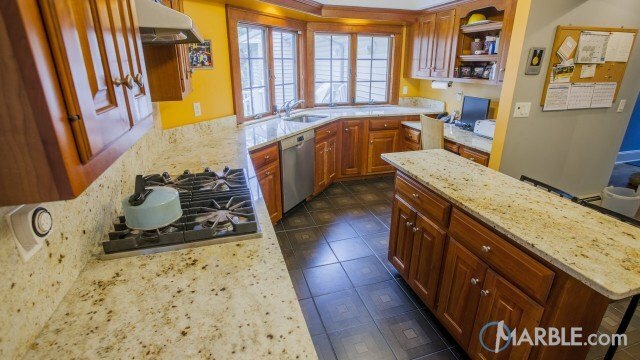 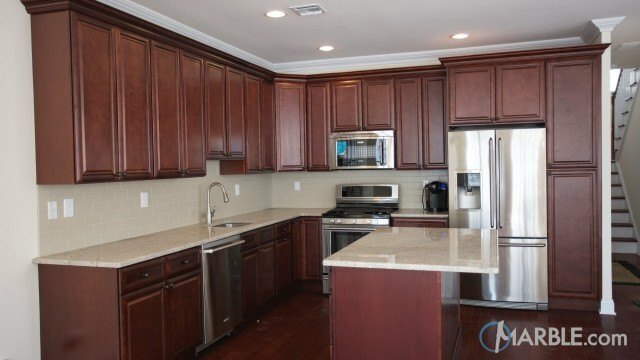 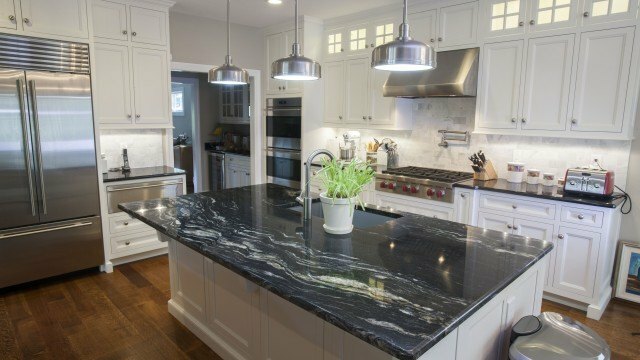 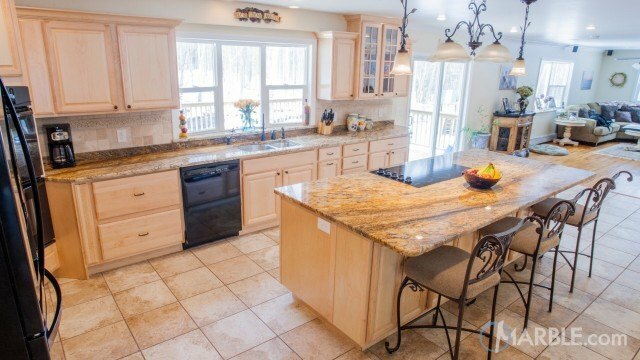 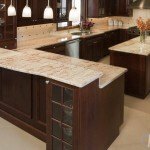 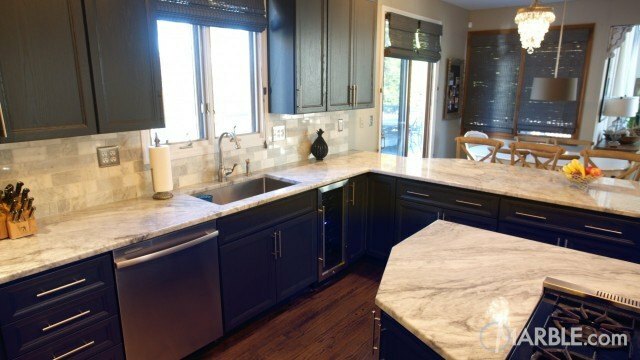 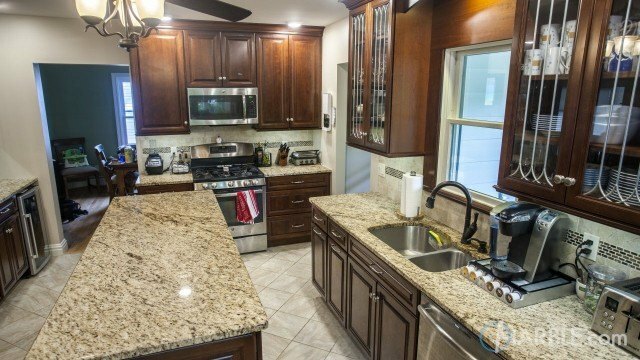 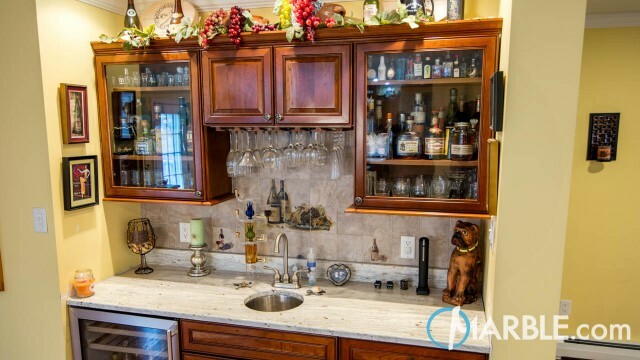 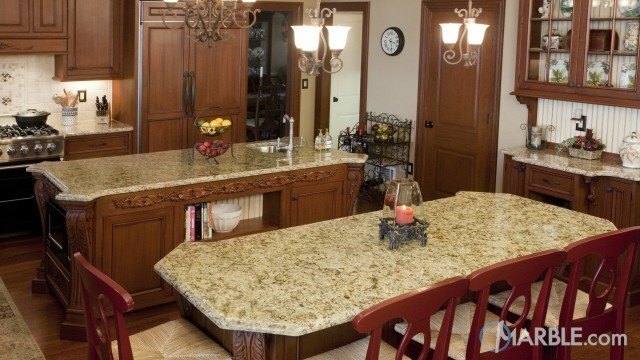 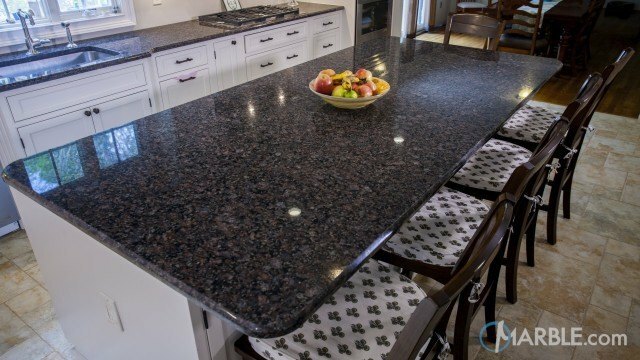 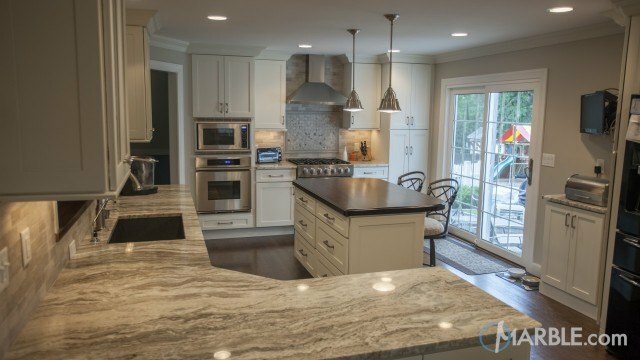 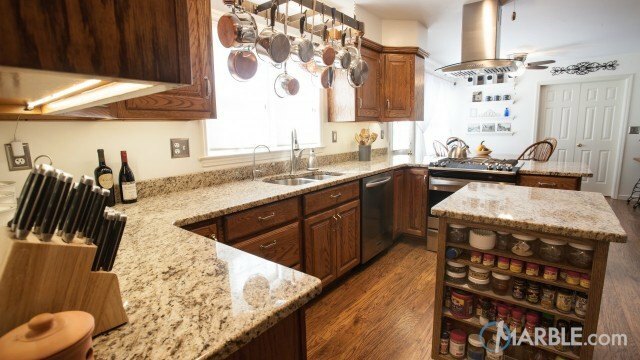 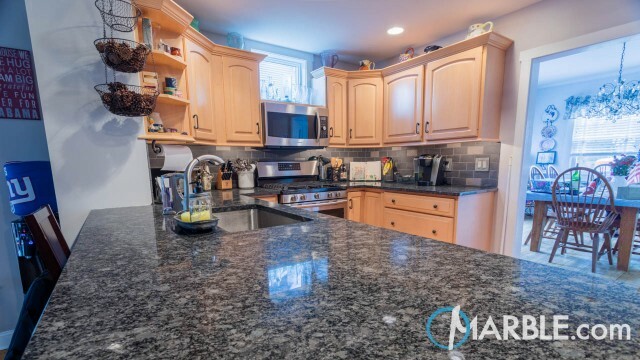 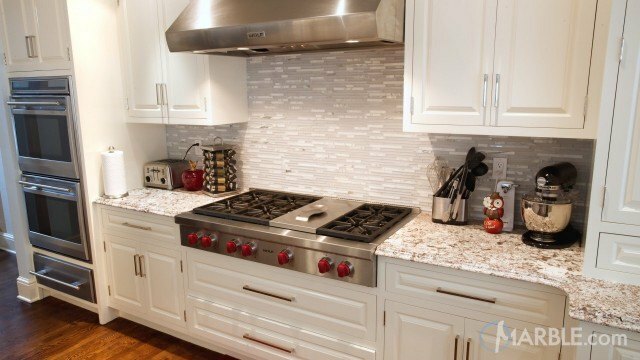 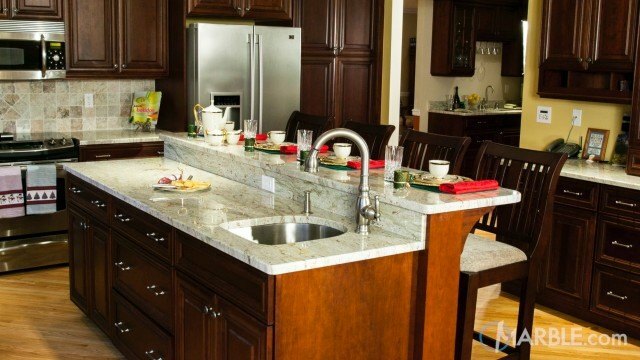 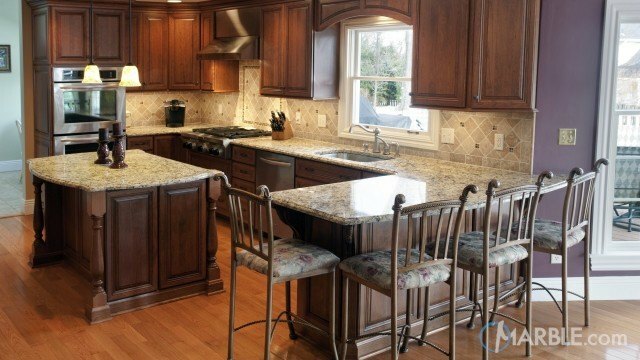 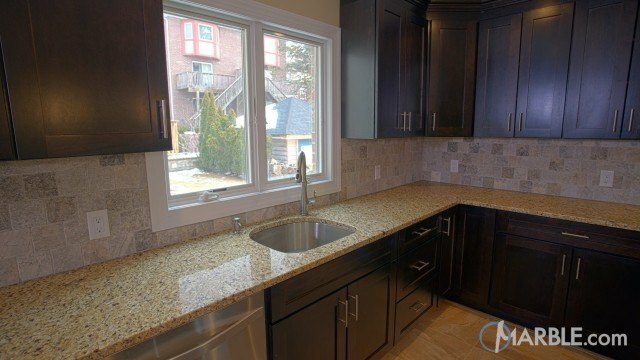 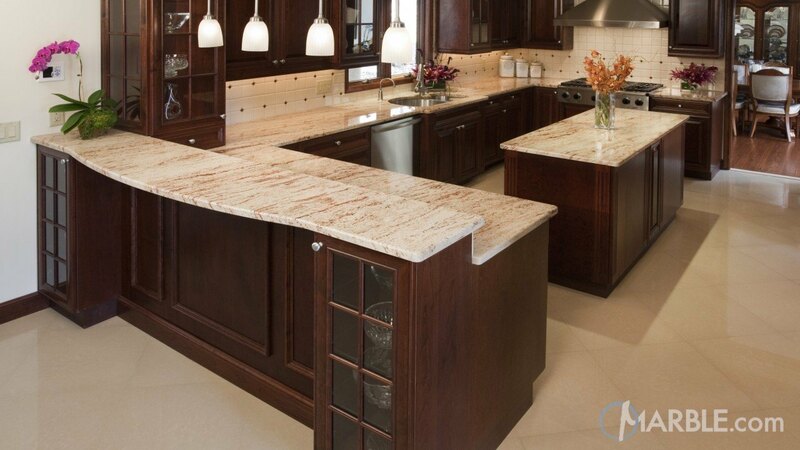 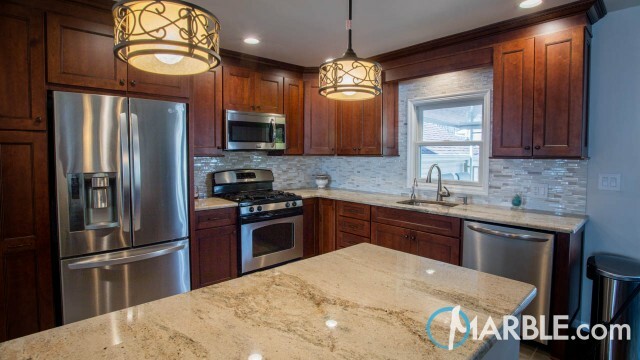 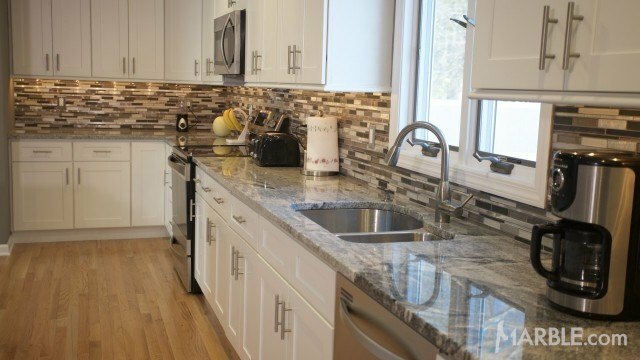 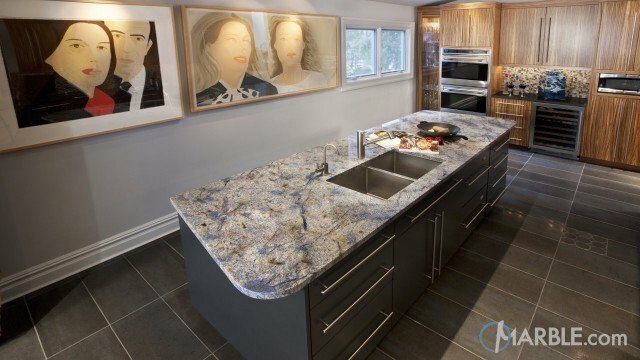 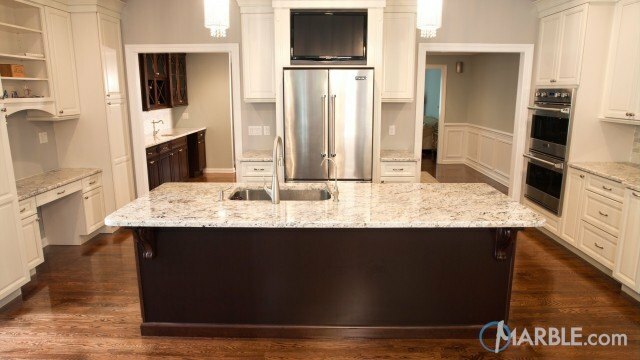 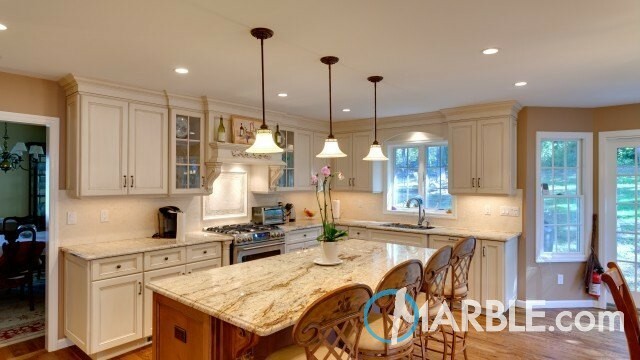 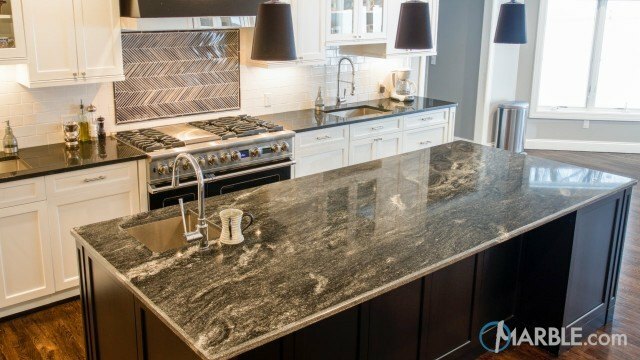 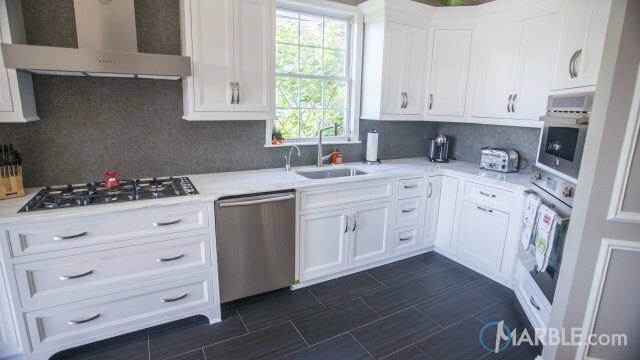 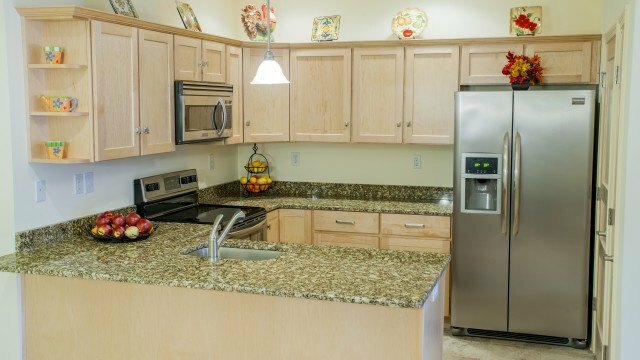 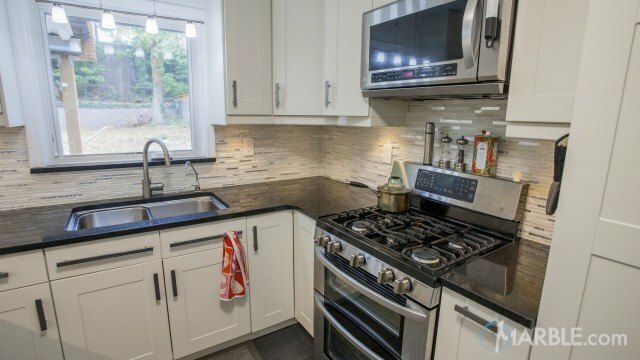 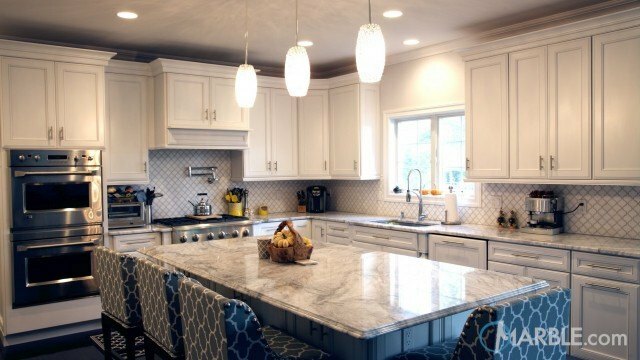 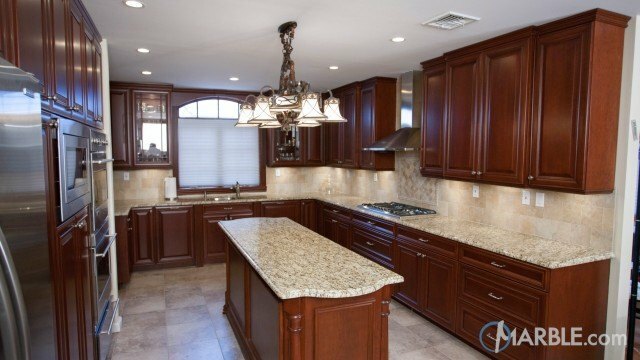 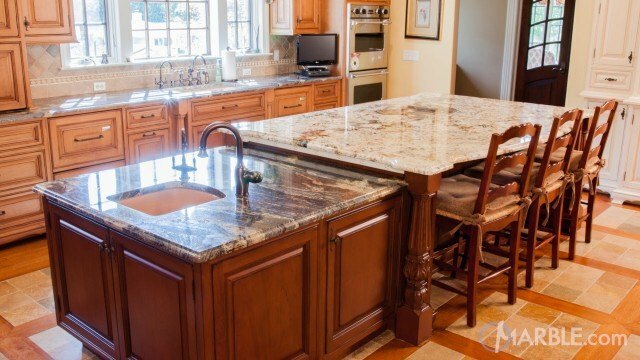 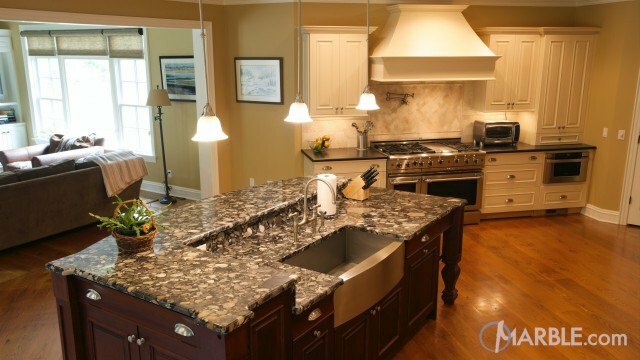 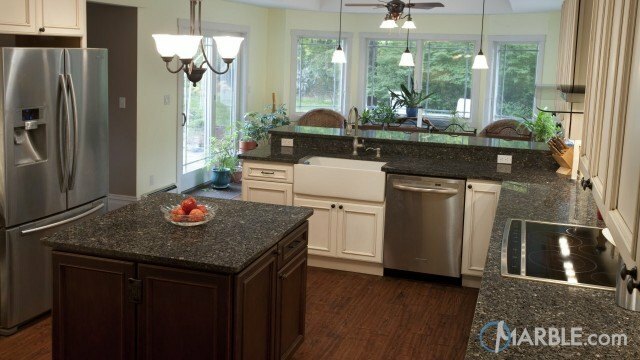 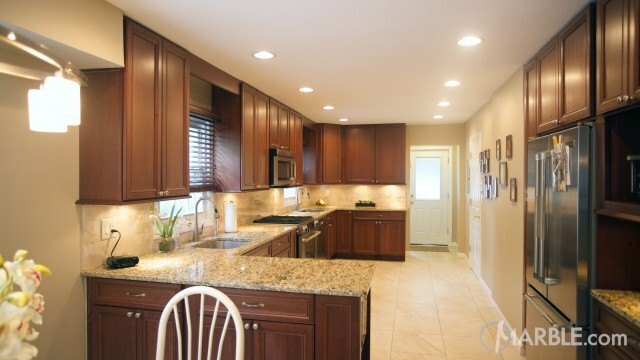 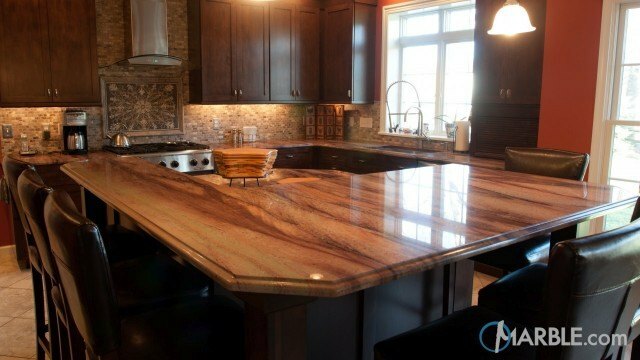 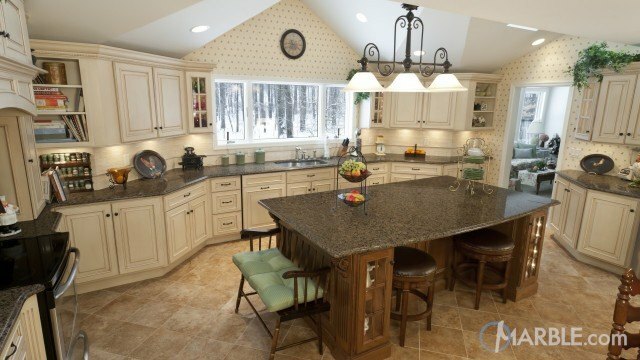 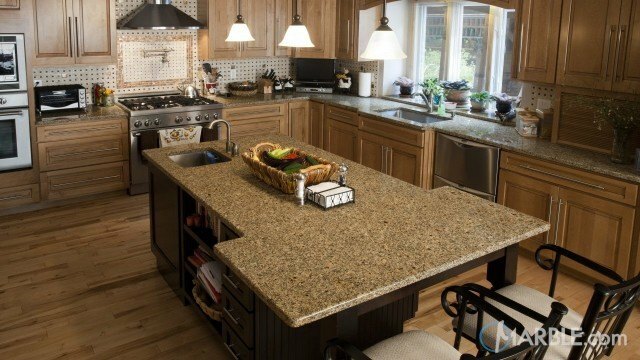 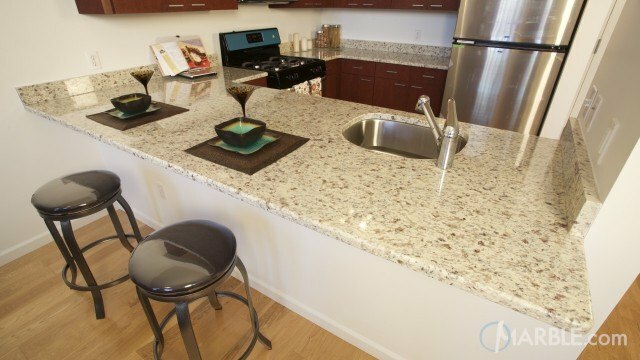 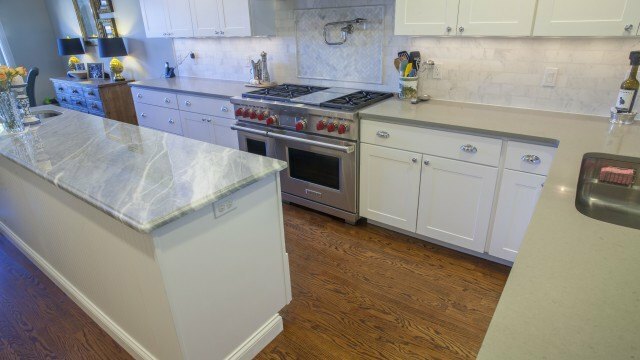 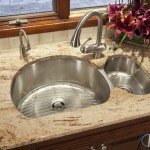 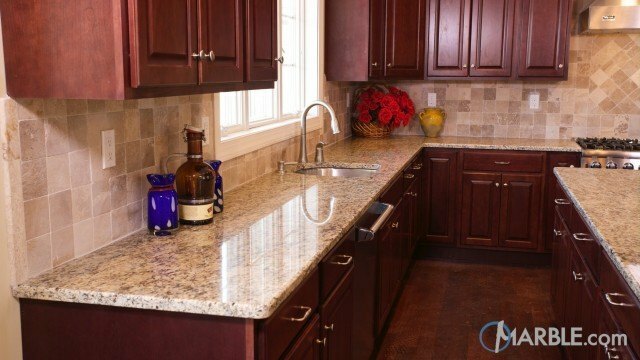 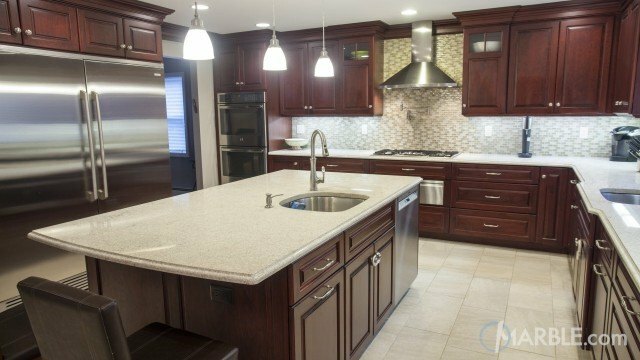 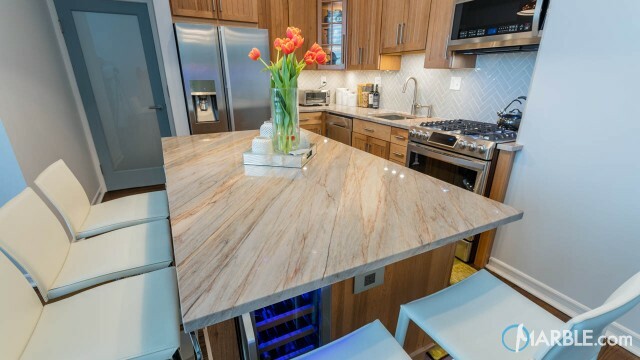 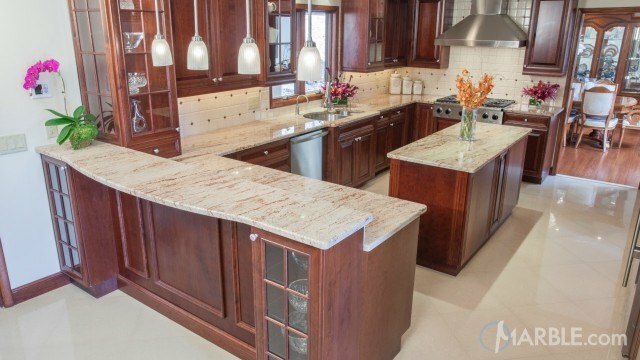 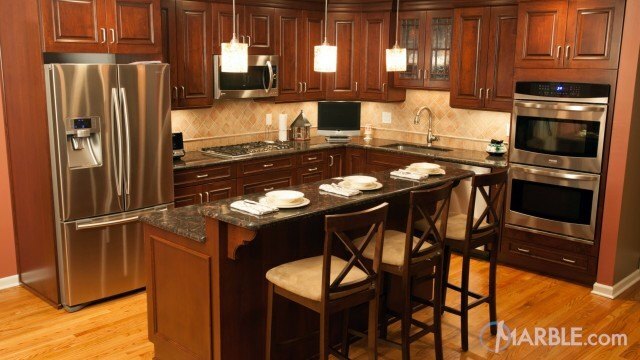 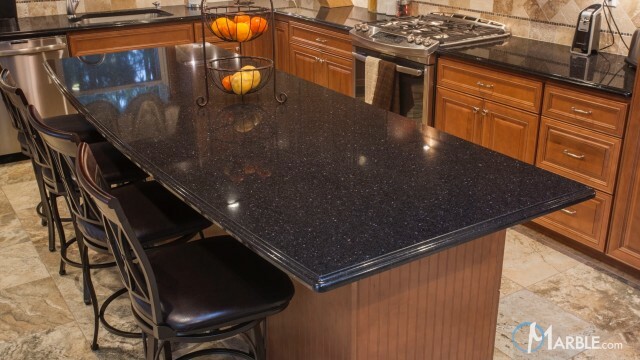 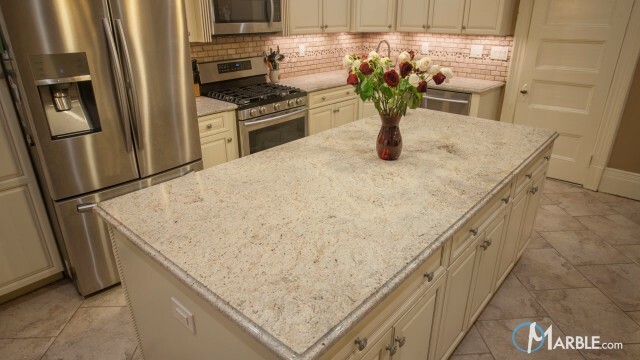 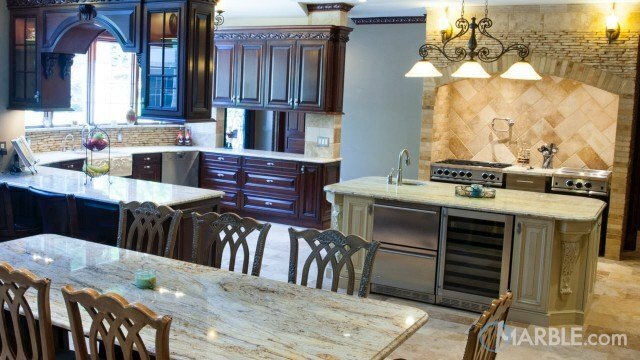 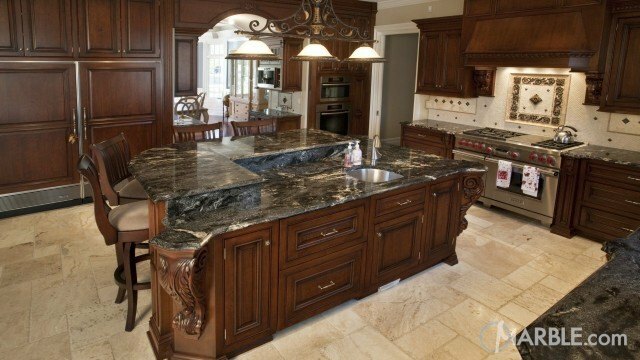 Contrasted by dark wood cabinets, the granite is meant to flow and create movement. 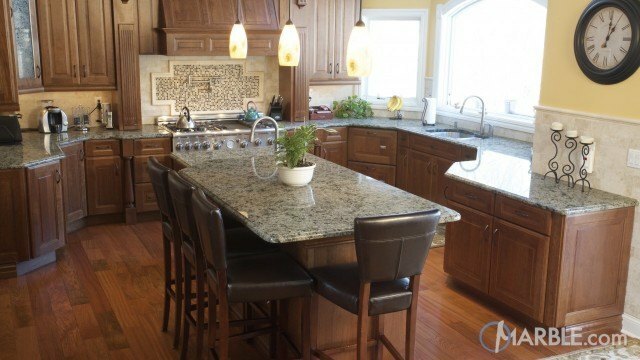 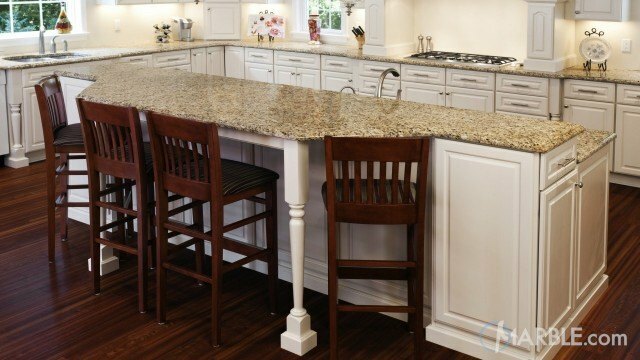 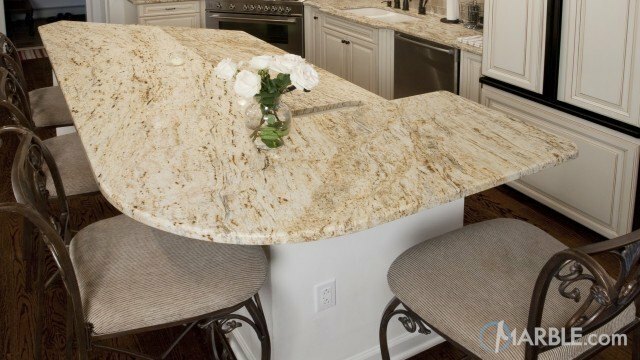 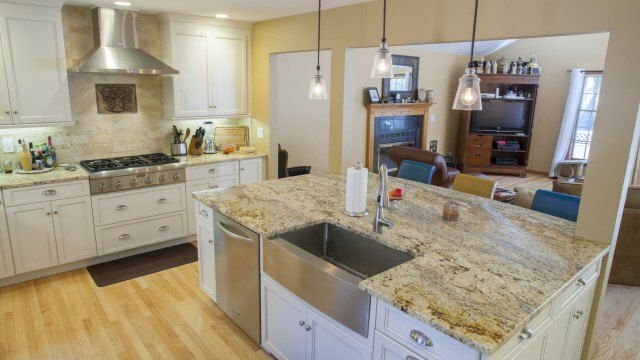 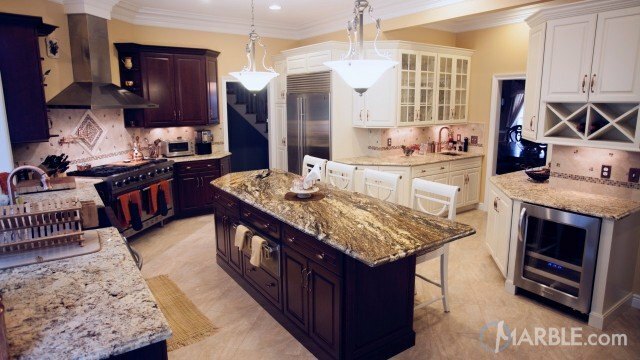 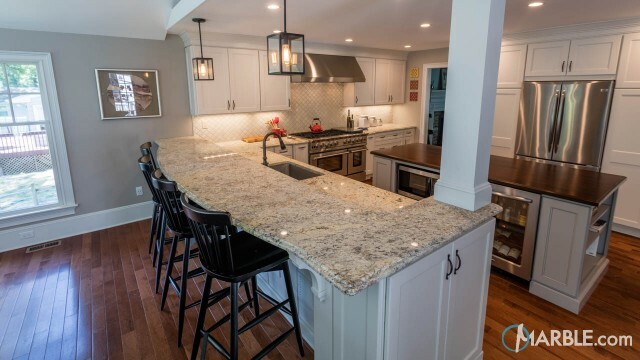 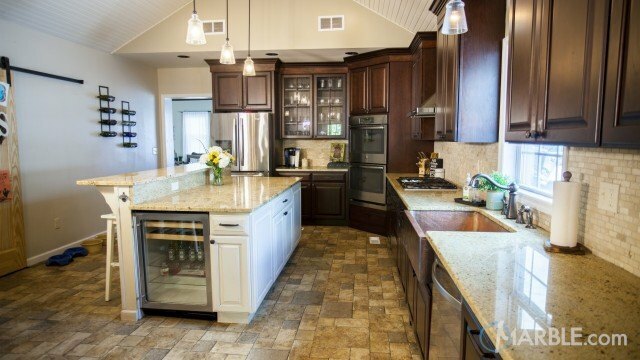 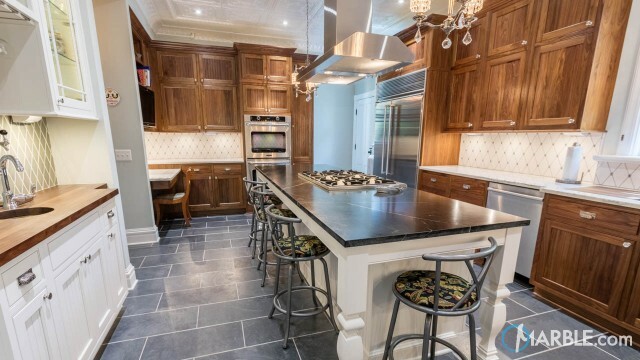 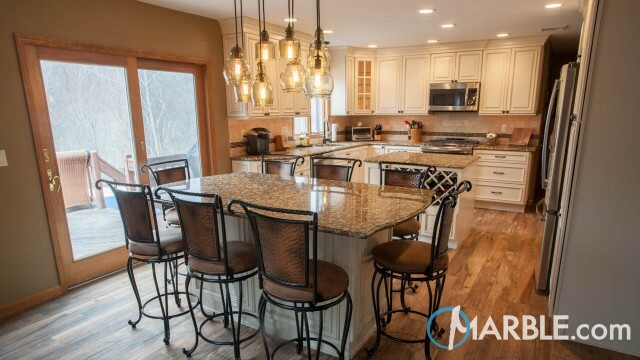 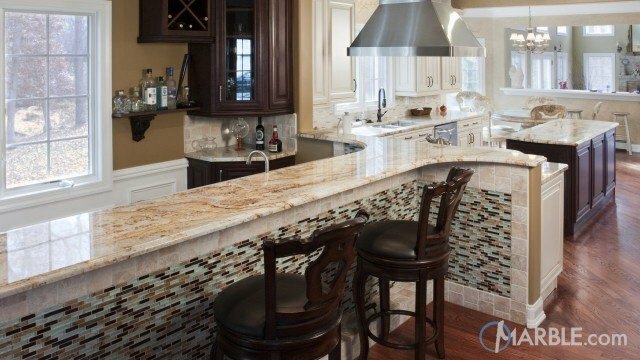 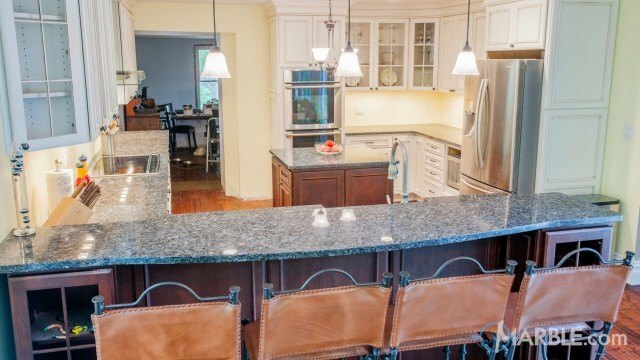 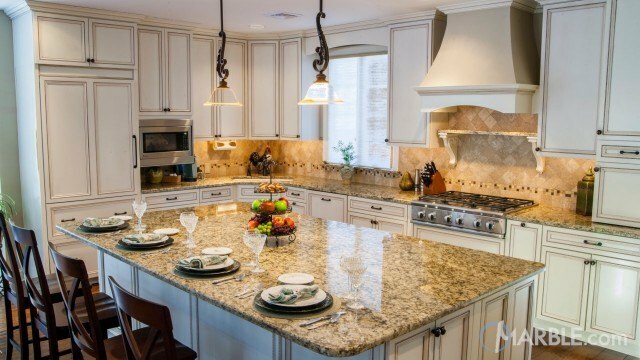 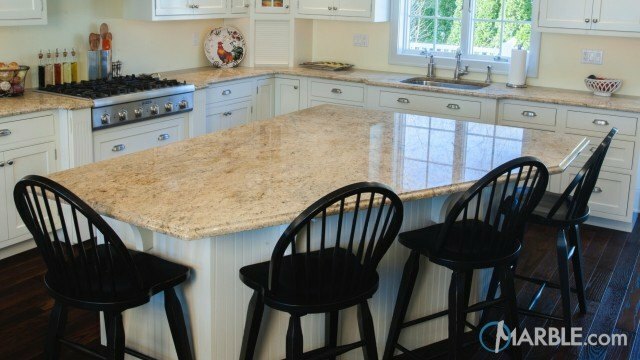 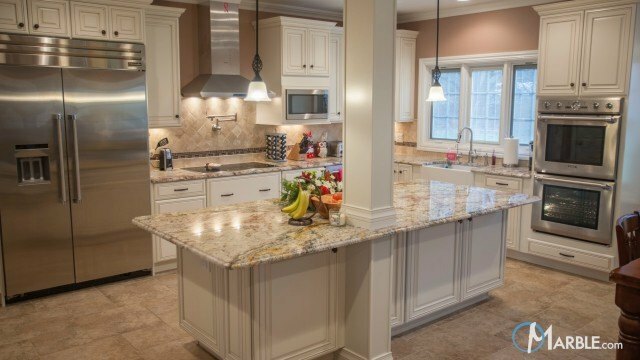 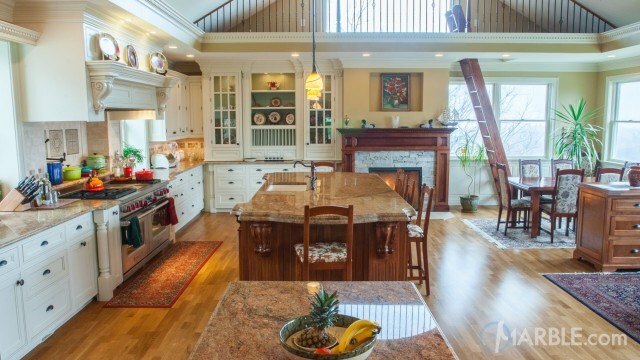 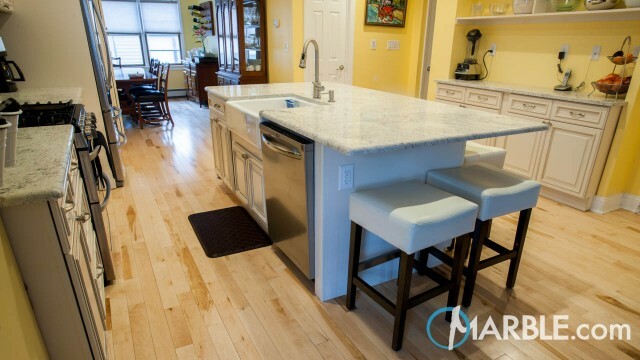 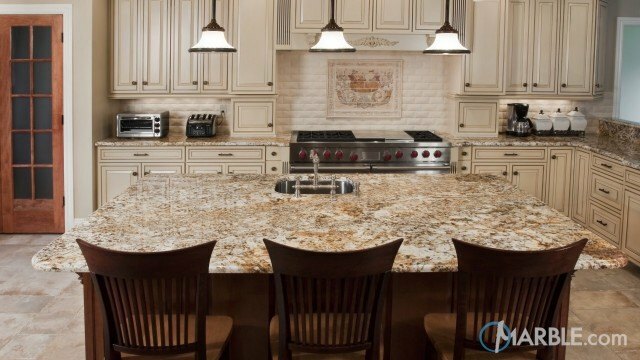 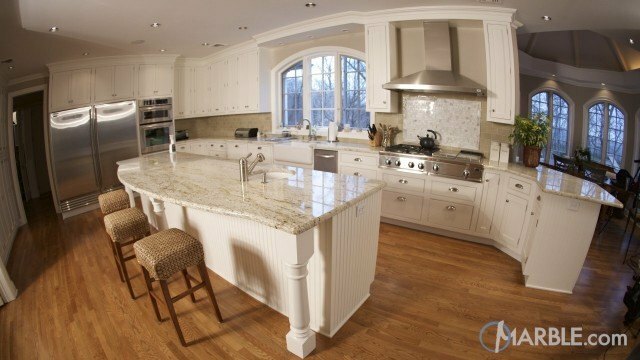 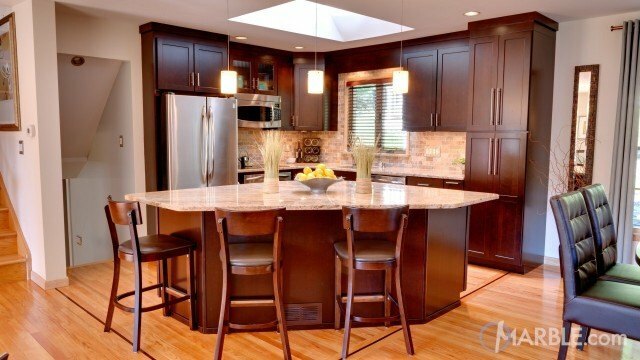 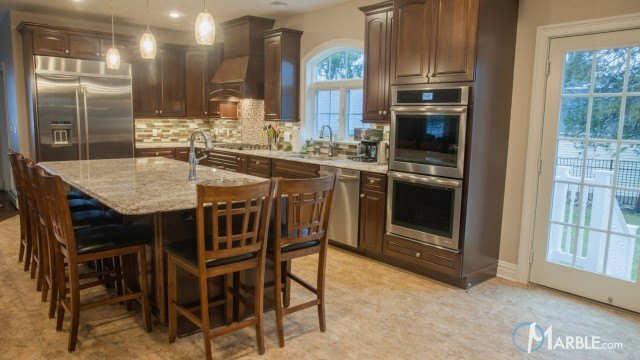 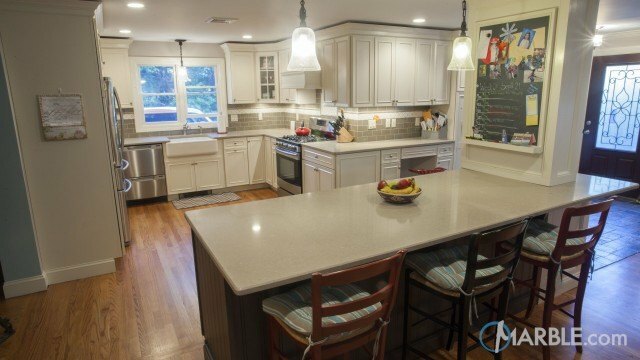 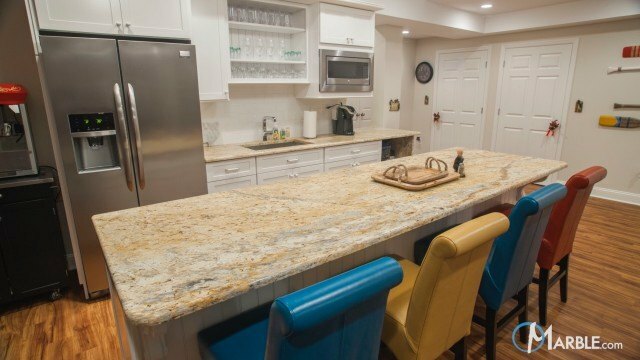 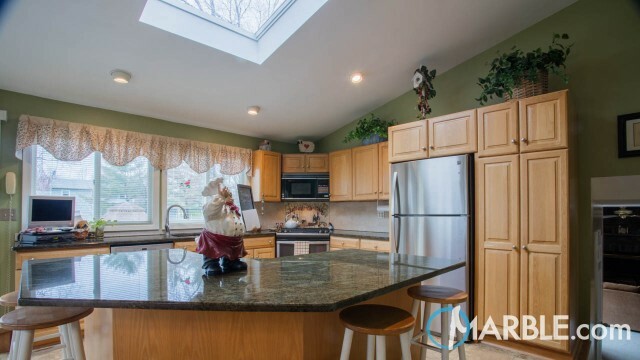 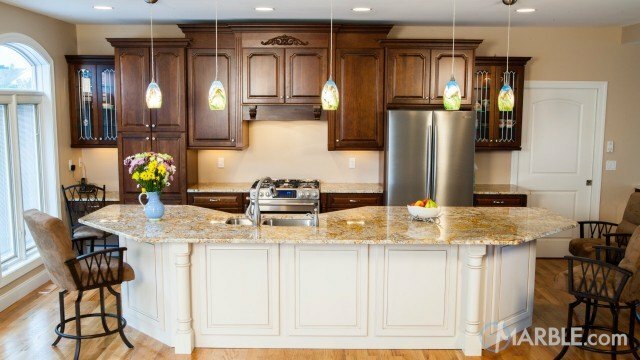 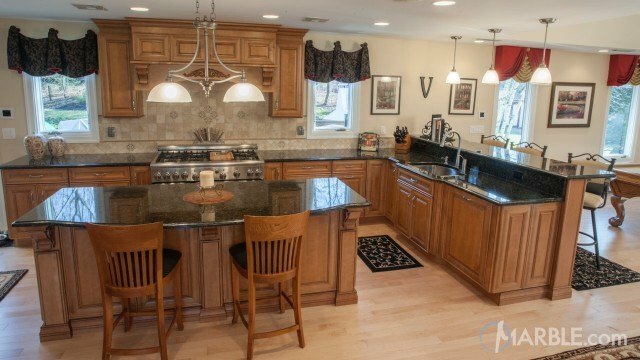 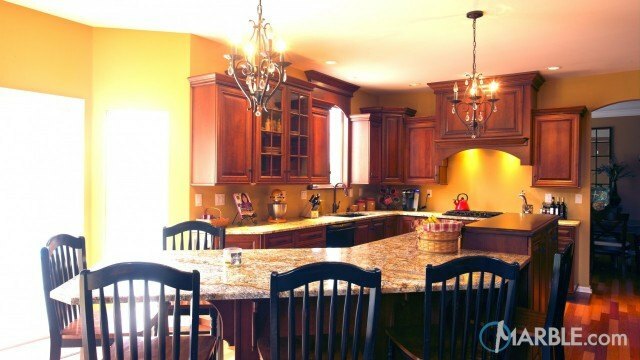 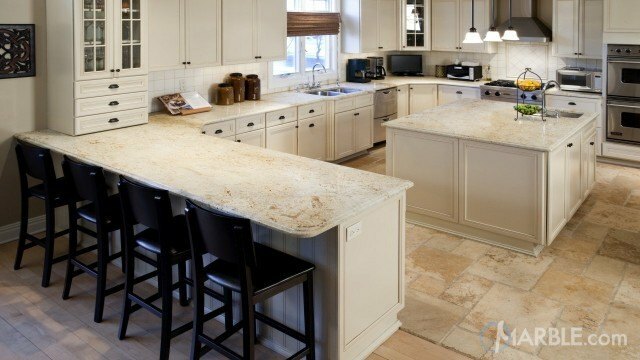 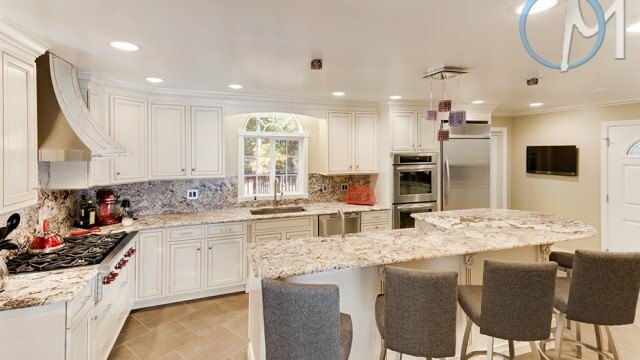 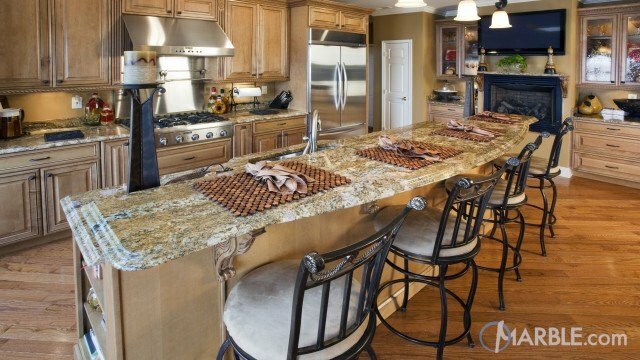 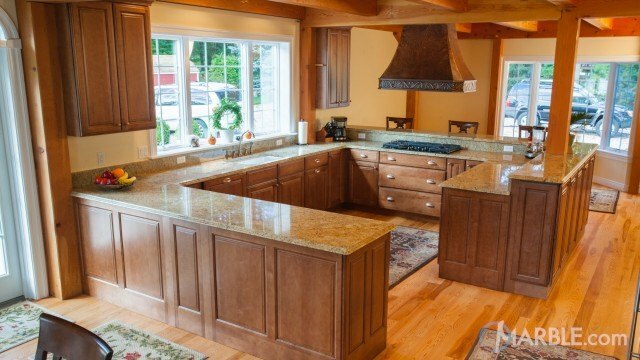 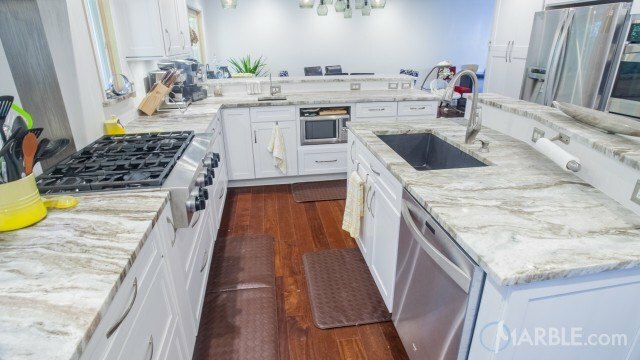 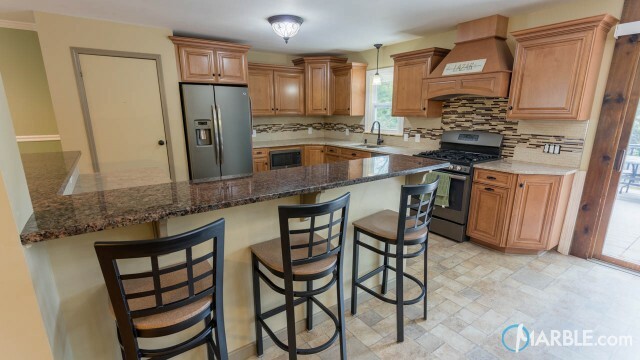 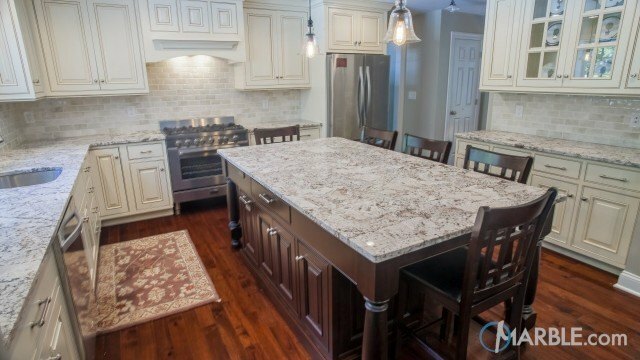 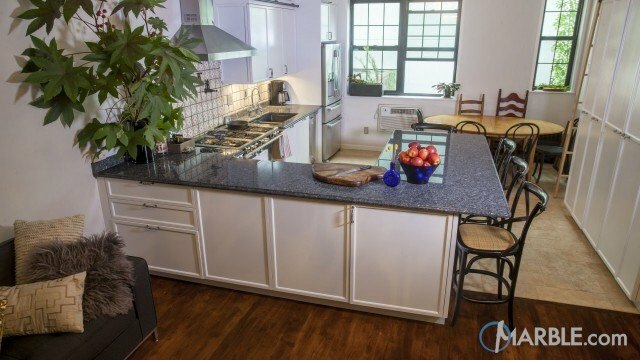 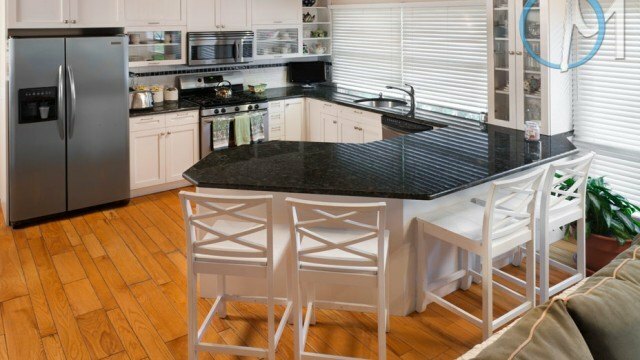 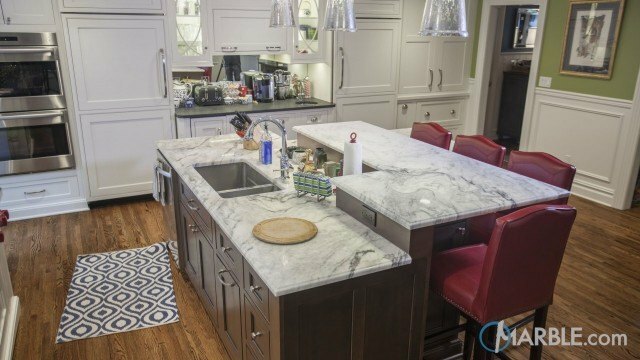 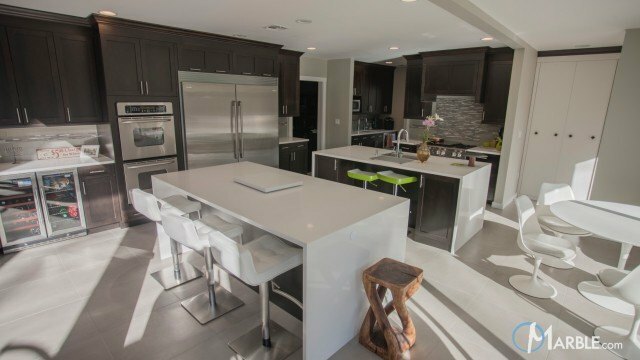 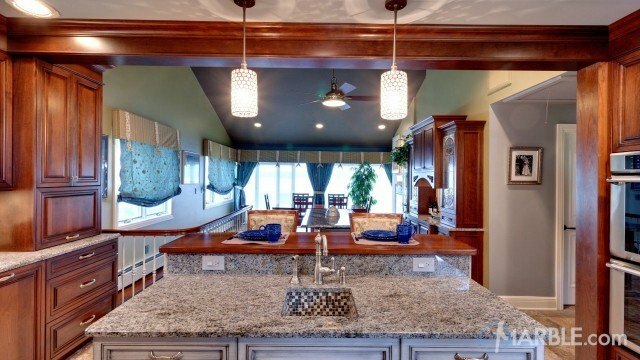 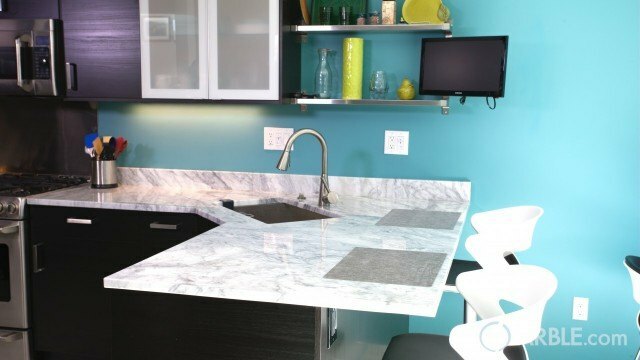 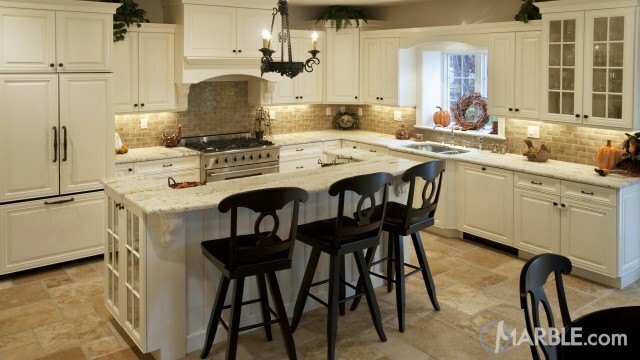 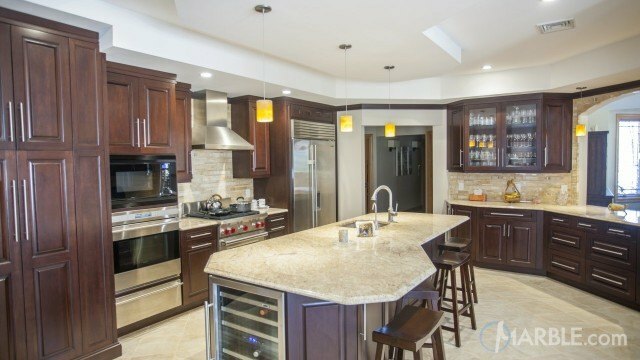 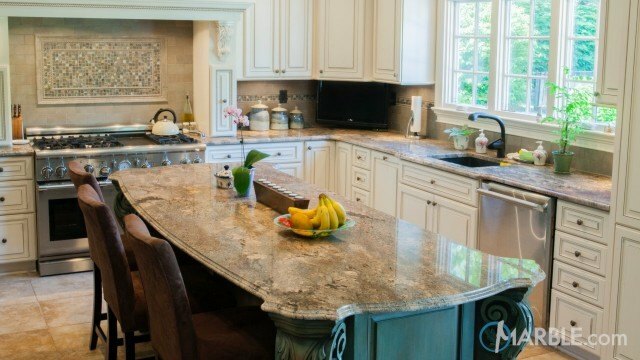 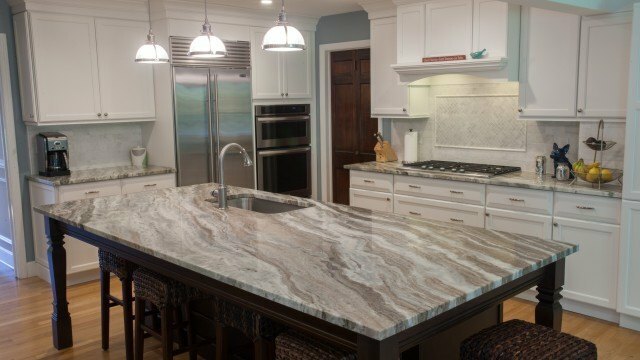 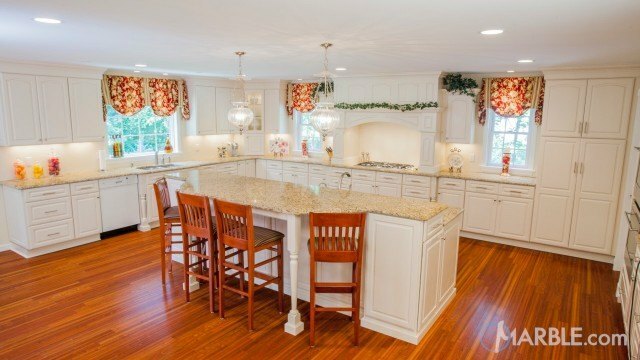 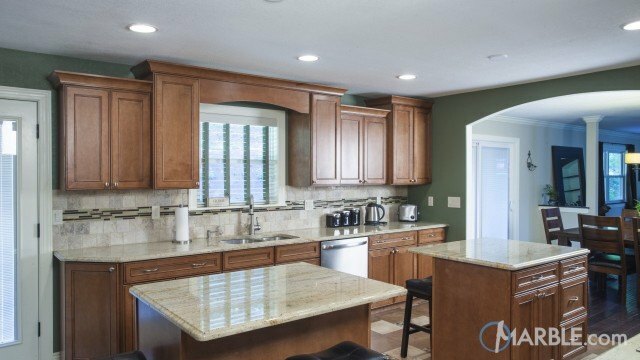 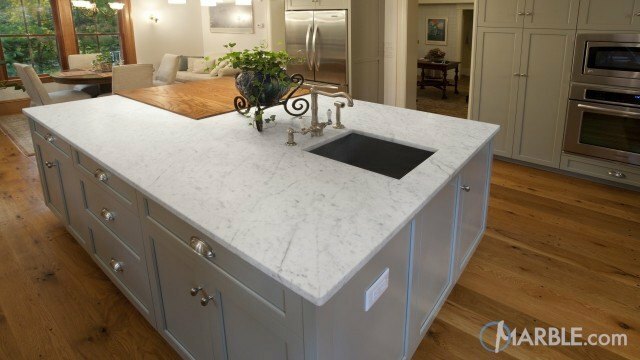 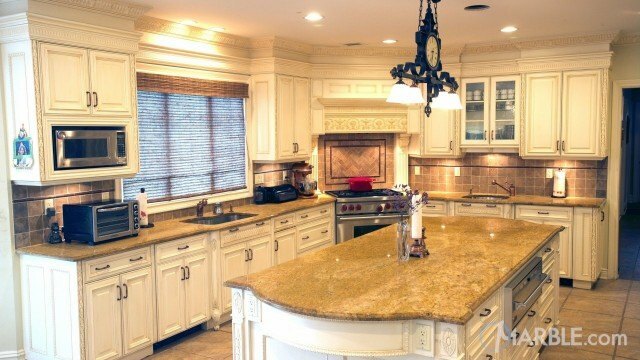 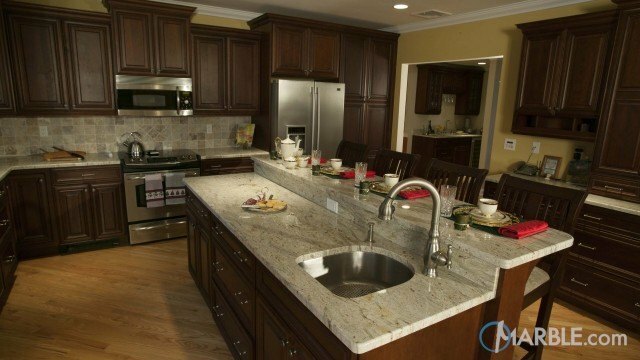 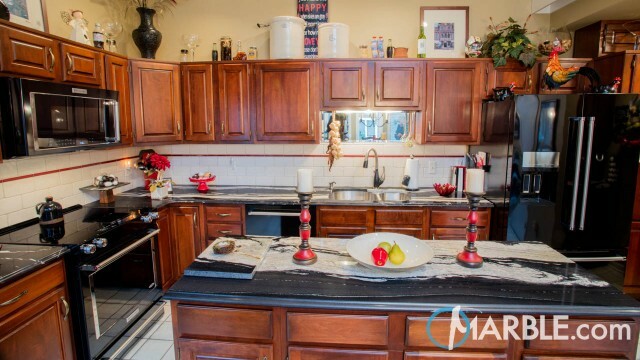 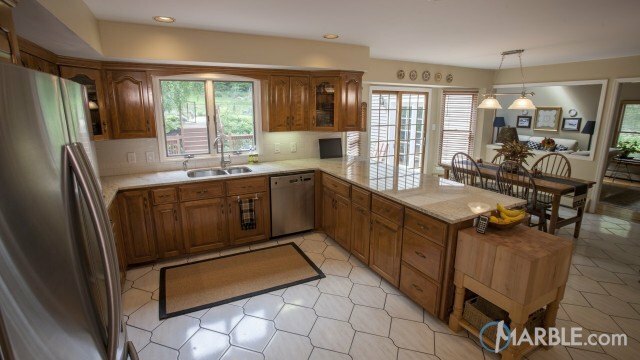 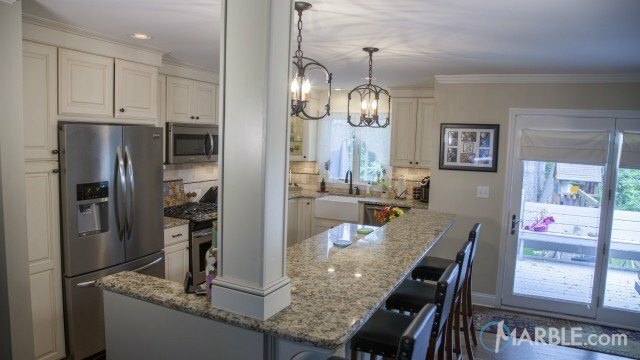 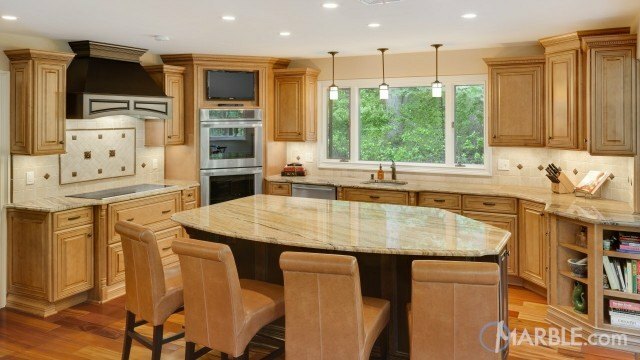 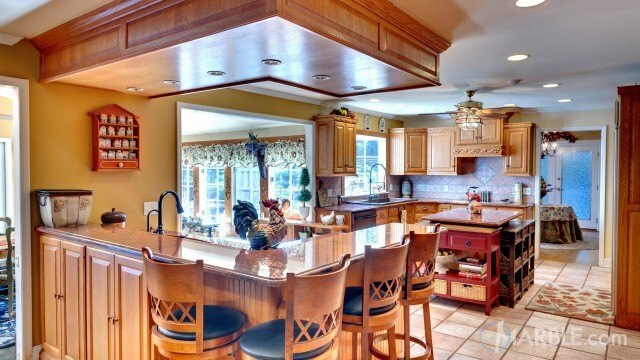 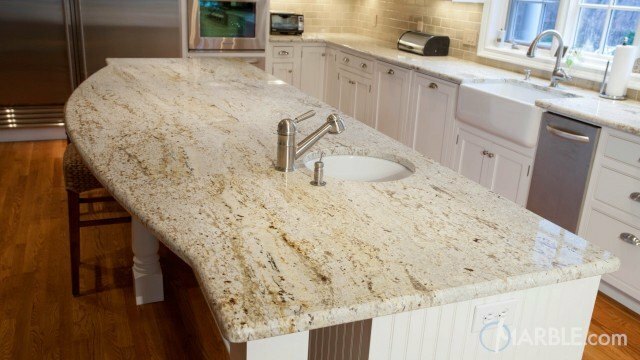 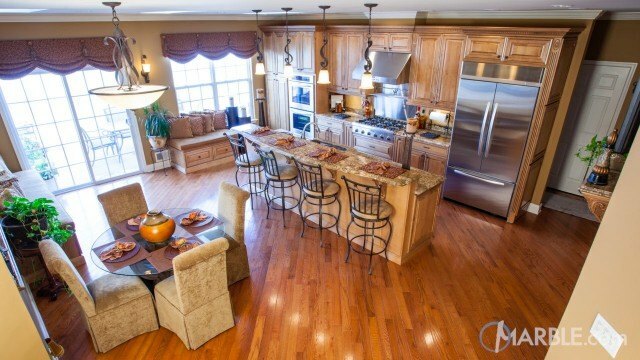 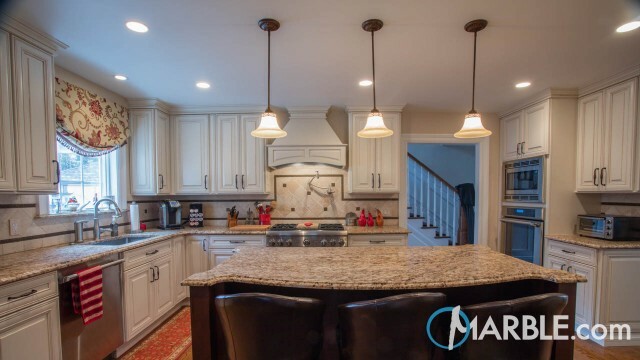 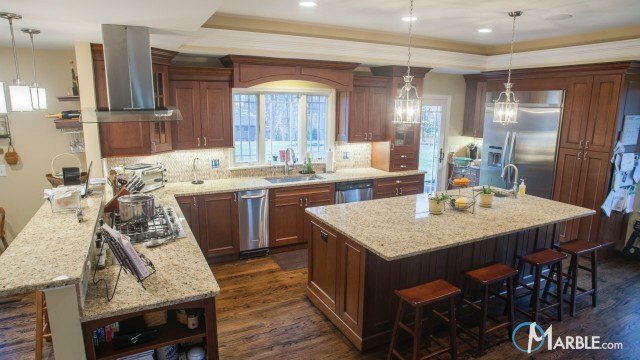 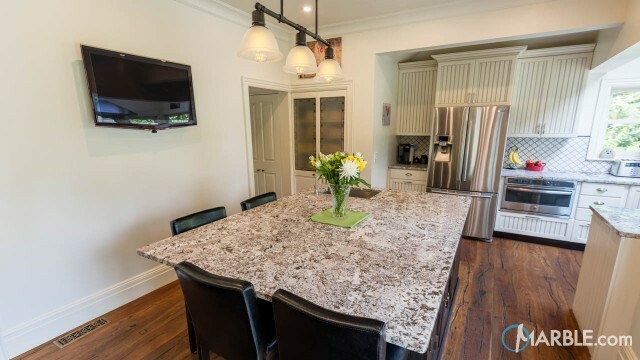 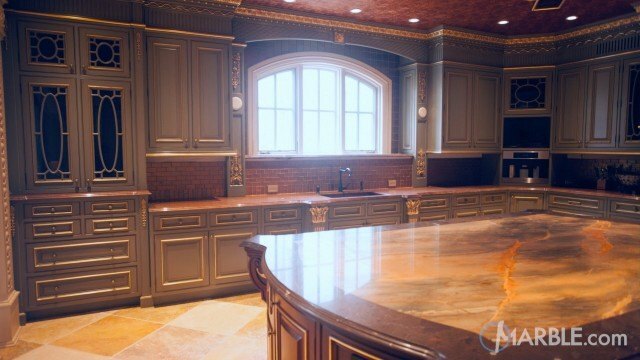 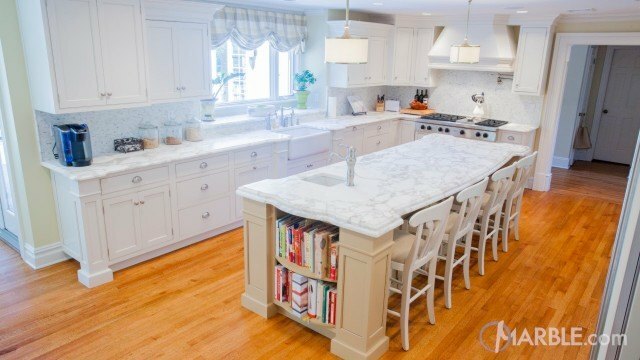 The small island adds extra work space in the center and separates the kitchen from the dining room. 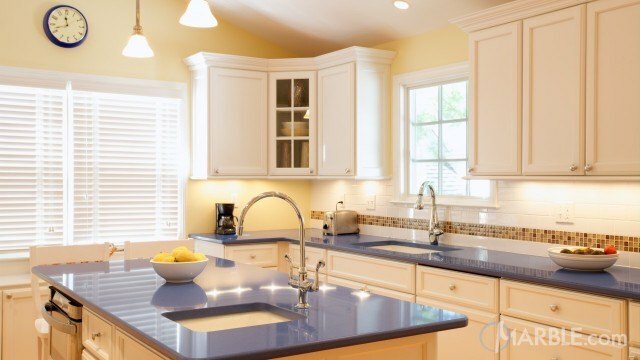 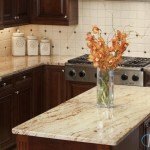 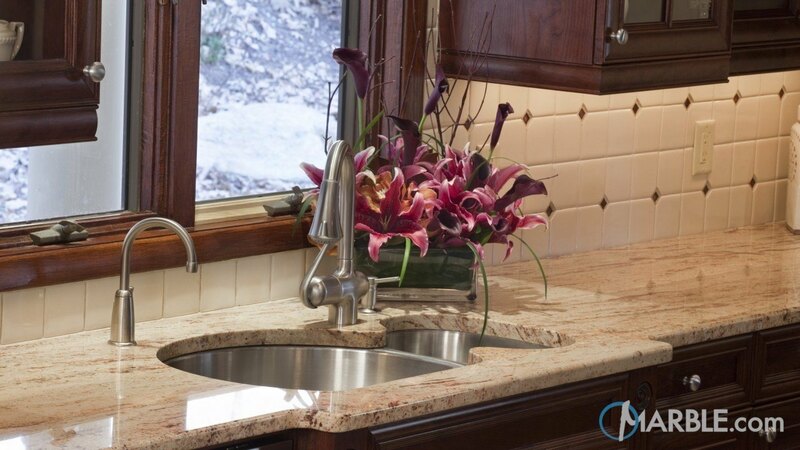 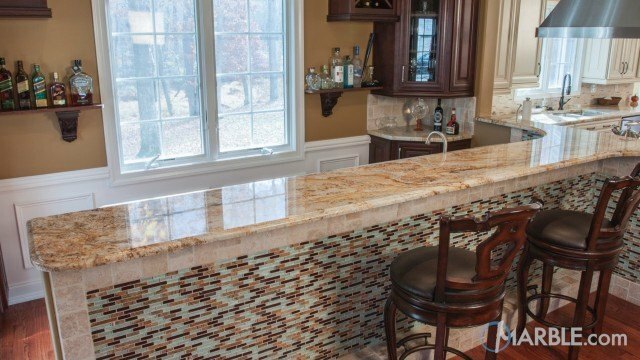 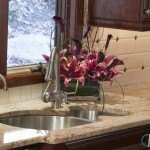 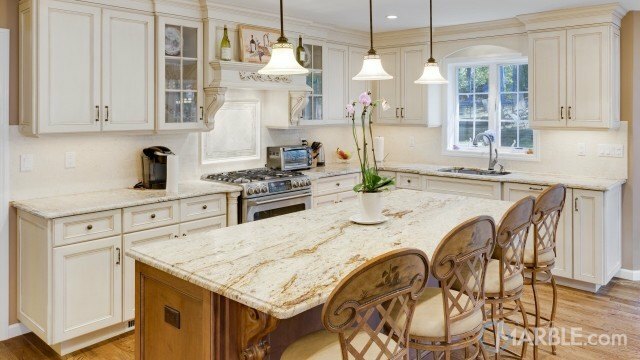 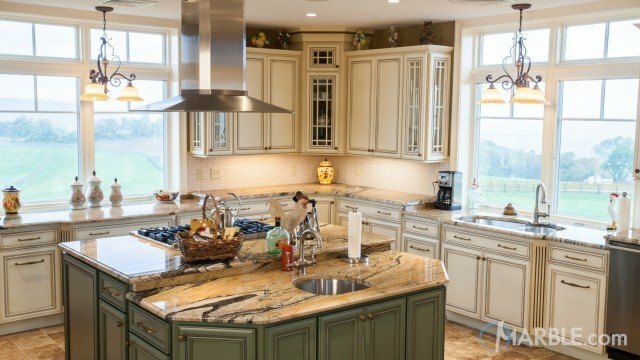 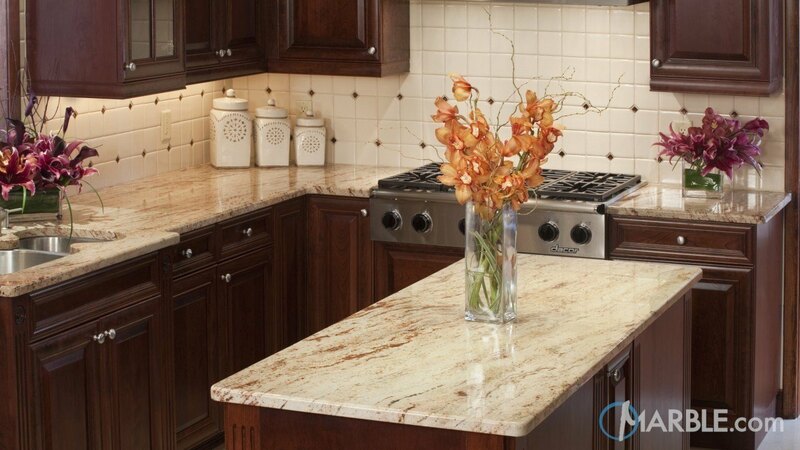 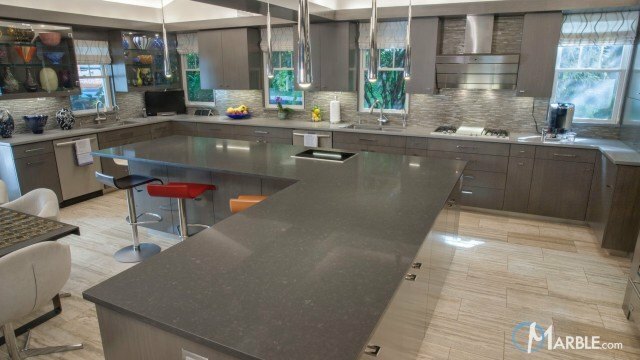 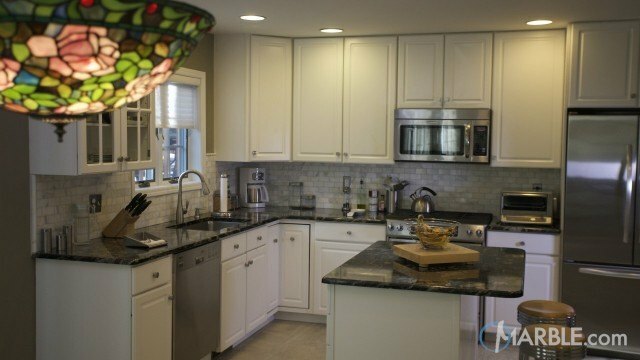 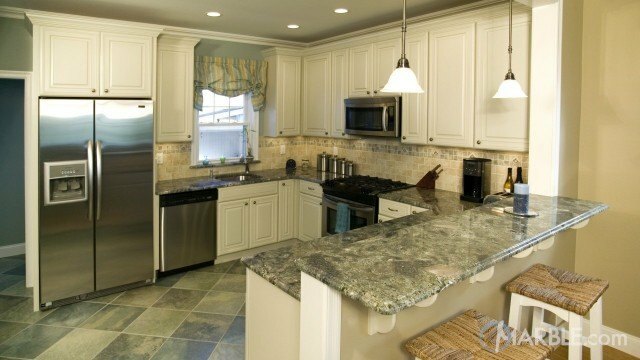 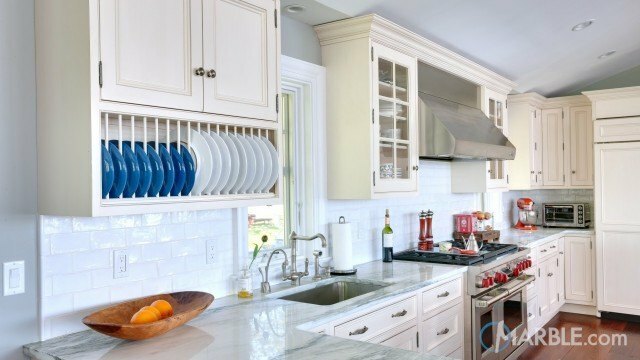 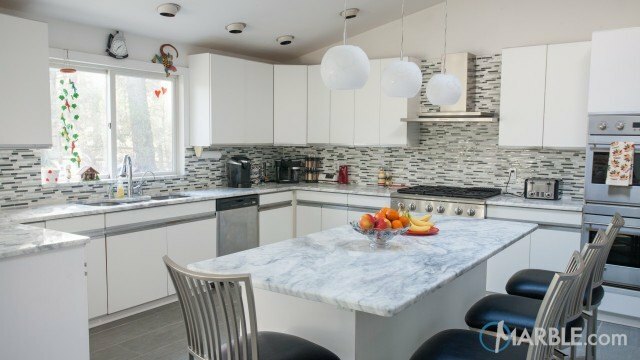 Plants throughout the kitchen bring in bright pops of color that beautifully complement the natural stone.